I was reflecting on two wine blogs which I read recently (Frankie Cook and David Crossley) Independently they were writing about how we got into wine and how, over the years, our tastes have changed. I was brought up in a County Durham small town, Crook. My family were teetotal and brought me up as a Methodist. This meant that alcohol had virtually no impact upon my life for many years, the pub was not a part of lives other than the occasional meal whilst on holidays. Wine was an alien concept, something which posh people and foreigners drank. Even during my time at Liverpool University I drank some beer but never wine. That I should turn out to be horse racing fan with passion for wine may be seen as something of a reaction to that upbringing though it should be said that my childhood and youth were wonderful and I would not change anything about them. So it was a school trip which ignited my interest in wine. As a teacher. 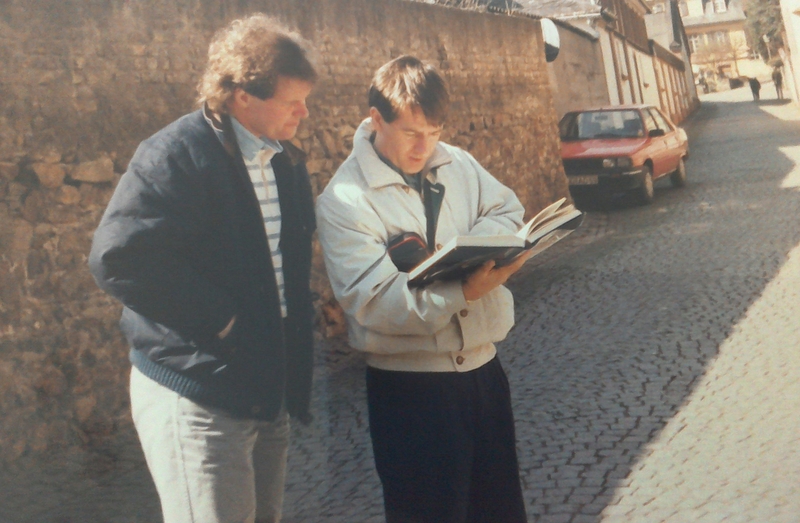 I was asked to accompany a visit to the Rhine Valley in Germany in 1982. The hotel where we stayed was big and old fashioned, in the centre of Bacharach not far from Rüdesheim. The hotel owner was a very sociable and generous host and every evening he would offer us wine to accompany our meal and then he would teach us about the local wines and how they could vary in levels of dryness or sweetness and according to site and winemaker. (I hasten to record that two teachers would abstain to supervise the children). Well his teaching was a revelation! As far as I knew wine came in two types, red and white just as there were different flavours of soft drinks such as Cola, lemonade etc. Our host opened up a whole new world of how wines could vary so much even within the same place and vintage never mind from other regions. How I wish that I could remember the name of that German tutor, he set me on the road which leads to the Languedoc in 2015. From Germany to Australia. 1980s Britain saw a boom in wine interest in Britain, fuelled by television coverage, magazines and books. My chosen guides were Oz Clarke and Hugh Johnson, different in approach but knowledgeable and with a great ability to communicate their enthusiasm and to educate me with their words. At the same time the arrival of New World wines, especially from Australia, and Oz’s championing of those wines widened my tastes from German Riesling, though that remains my favourite white wine type it should be said. 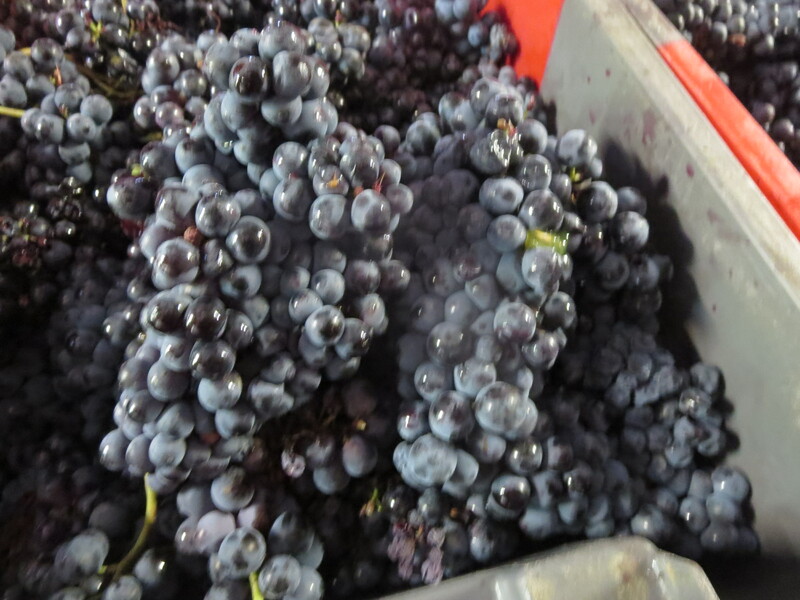 Huge stonking Shiraz, colourful Chardonnay and cassis-heavy Cabernet Sauvignons were the order of the day. Wyndhams Bin 222 and 444, Penfolds Bins 128 and 389, then cheap! Massive amounts of oak (often from wood chips added to the barrel) which today would make me shudder and wince. 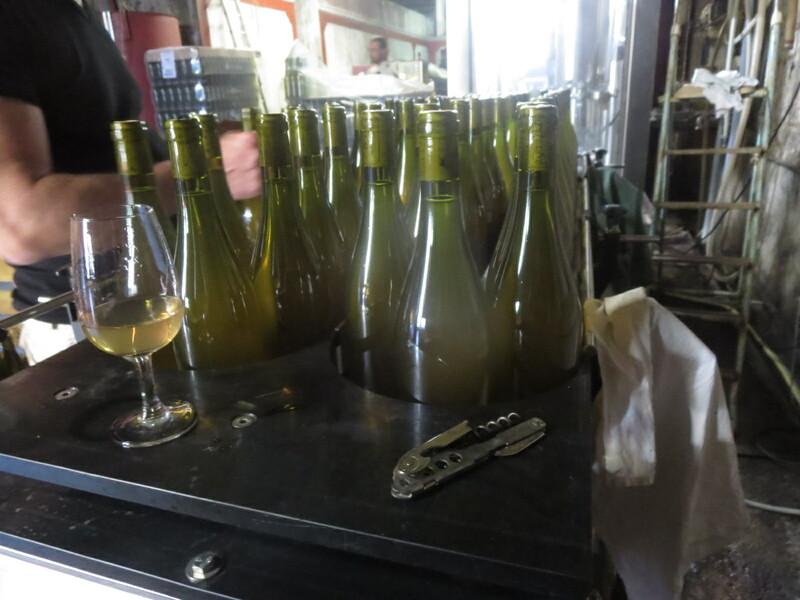 Add in the Sauvignon Blancs which were starting to arrive from New Zealand, tropical fruits, cut grass and cat’s pee aromas. Cloudy Bay Sauvignon was the bottle to find, indeed it was rationed out. And trips to Oddbins, the most dynamic of wine retailers, who offered Penfolds Grange Hermitage for around £20 (now over £200), why didn’t I buy it all? From the Antipodes to France. By the mid 1980s I was a regular holidaymaker in France, profiting from school holidays in summer. The Loire was the first region visited and particularly tasting wines in Vouvray. 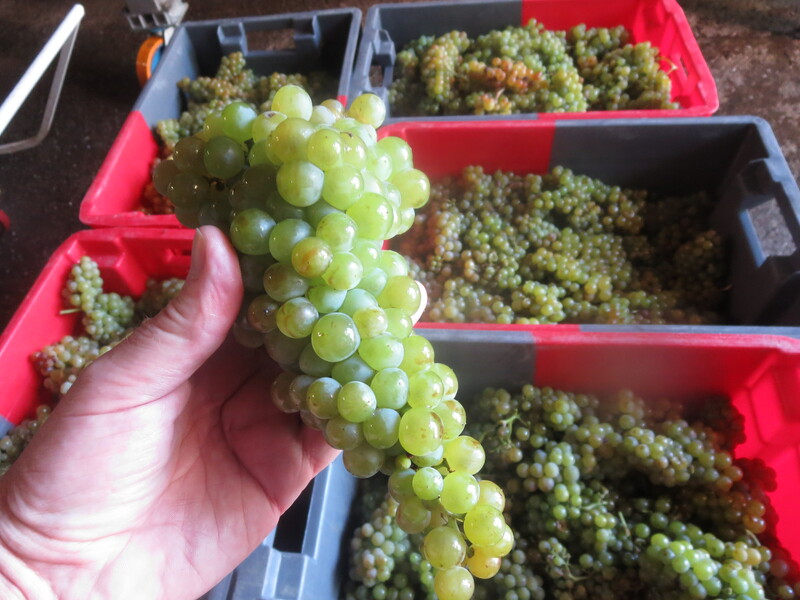 Dry, appley Chenin Blanc wines which could magically also be sweet and luscious vins moelleux in the hands of winemakers such as Huët, Foreau and Fouquet. 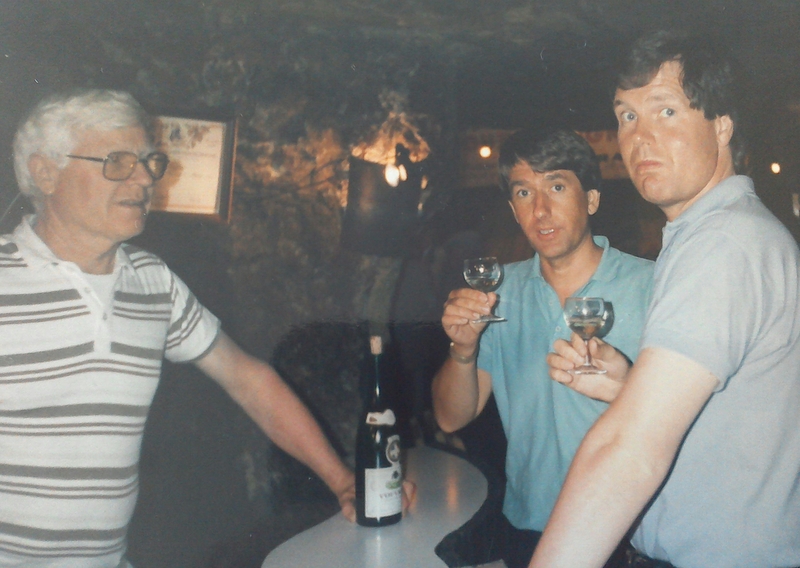 A startlingly youthful me with my brother in law Iain in the Cave Madeleine, Vouvray. 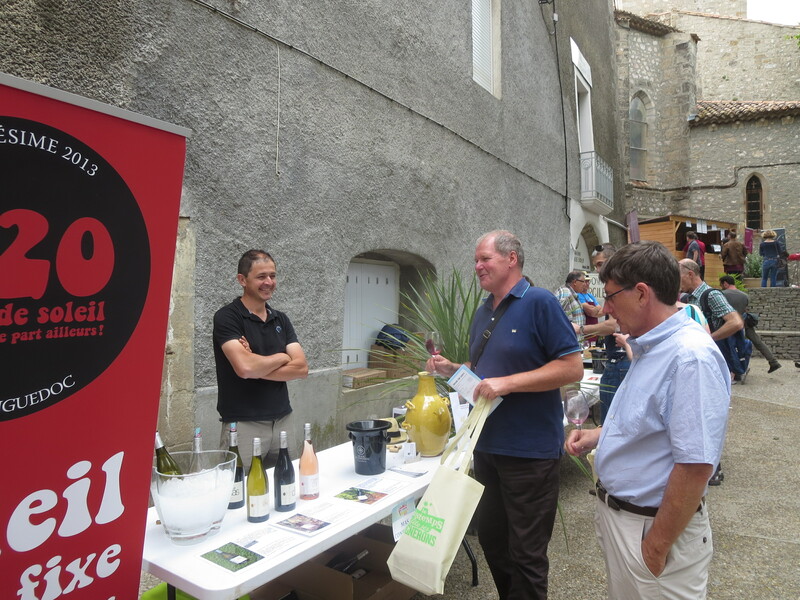 My first wine fair was in the troglodyte Cave Madeleine on August 15th. I assumed you drank rather than spitting the wines and rolled happily down the street back to the accommodation. Then onto Burgundy, Alsace, Beaujolais, the Rhone Valley, Bordeaux and Jura. Some were more welcoming to wine drinkers than others. Great welcomes from people like Martin Schaetzel in Ammerschwihr who opened bottles generously. 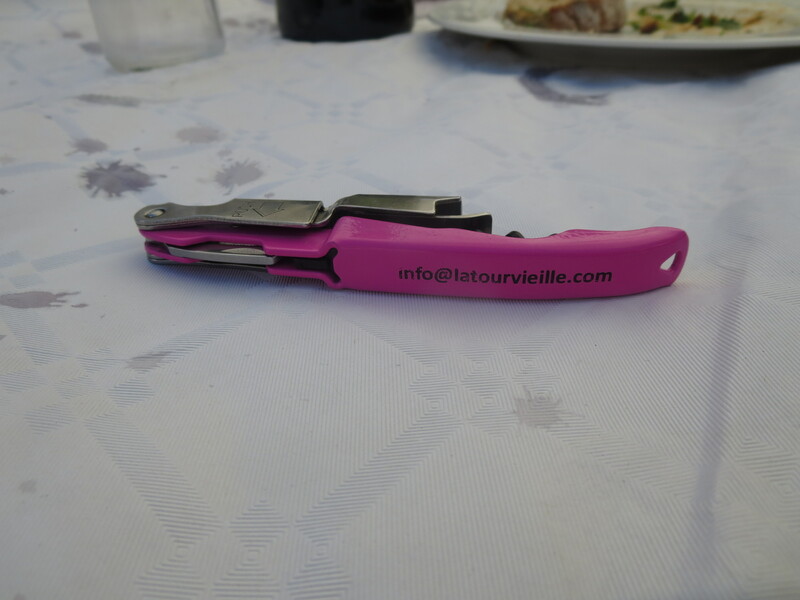 I met lovely people whose passion for their work and wines was freely shared with visitors. 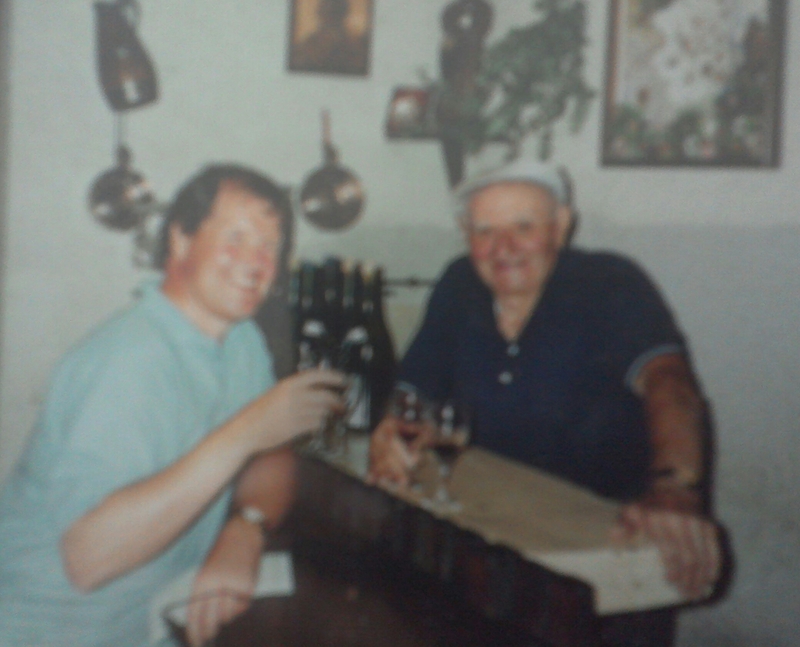 Louis Champagnon in Chénas was always a man who greeted you with a smile, food, a joke and great modesty. The Échezeaux producer who shared her Grand Crus, knowing that as a young teacher I couldn’t afford them (sadly I still couldn’t 25 years later!). 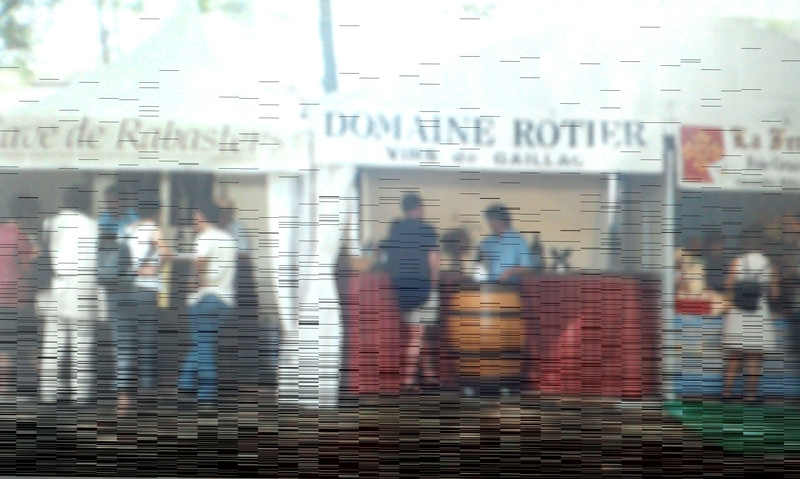 Sadly, Bordeaux was different, most producers kept their doors firmly closed, though I still loved the wines. 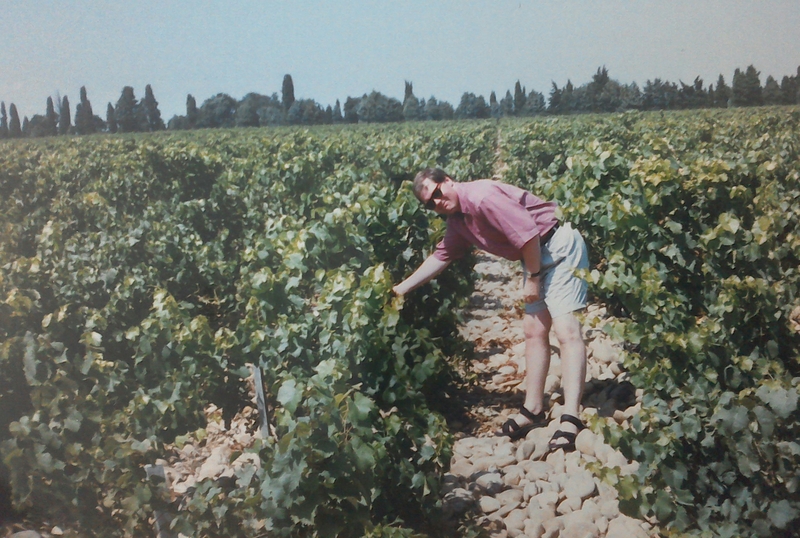 I tasted first growths such as Haut Brion at generous merchants such as Hungerford Wines. I bought en primeur in 1990 and struck lucky with a great vintage and wines from La Lagune and d’Angludet at just over £100 a case. 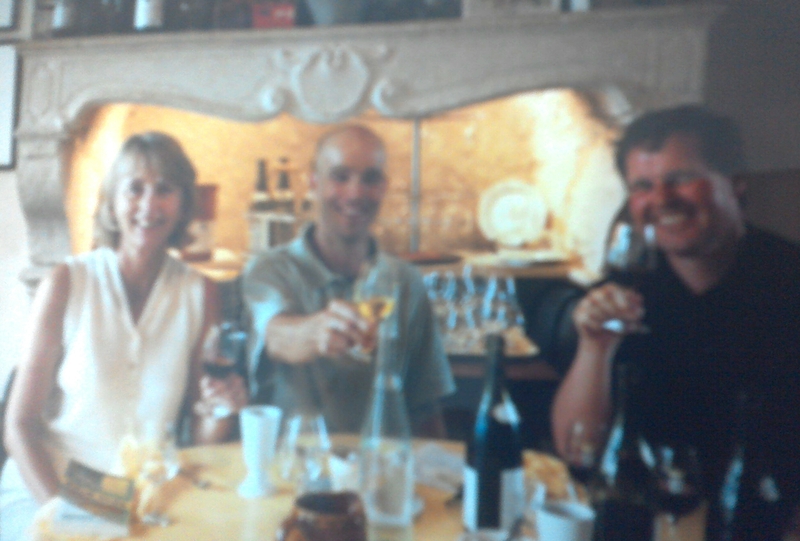 My experiences broadened, more tastings, more wines from around the world but especially France. As a teacher my budget was limited and I relied upon Oddbins, The Wine Society and supermarkets to find good wines. 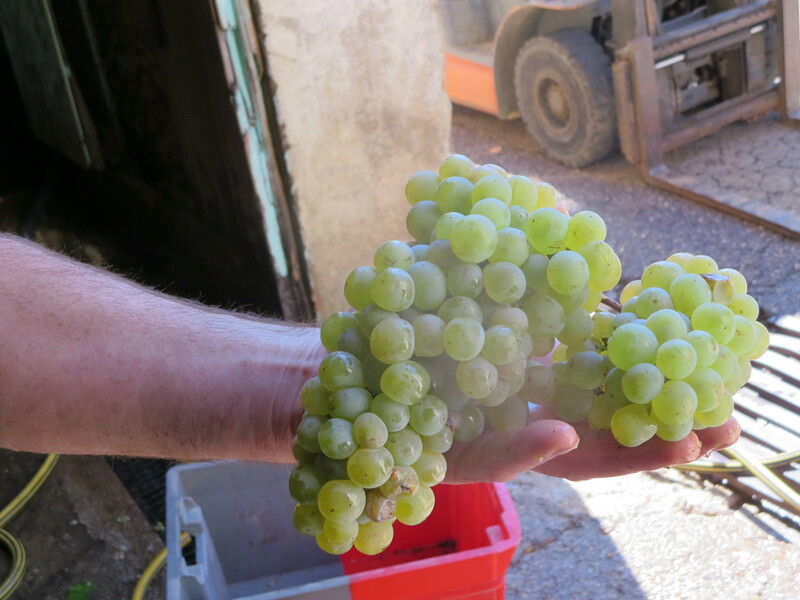 Plus I got bolder in knocking on doors, a remarkable visit to Didier Dagueneau and his wonderful Pouilly Fumés for example. 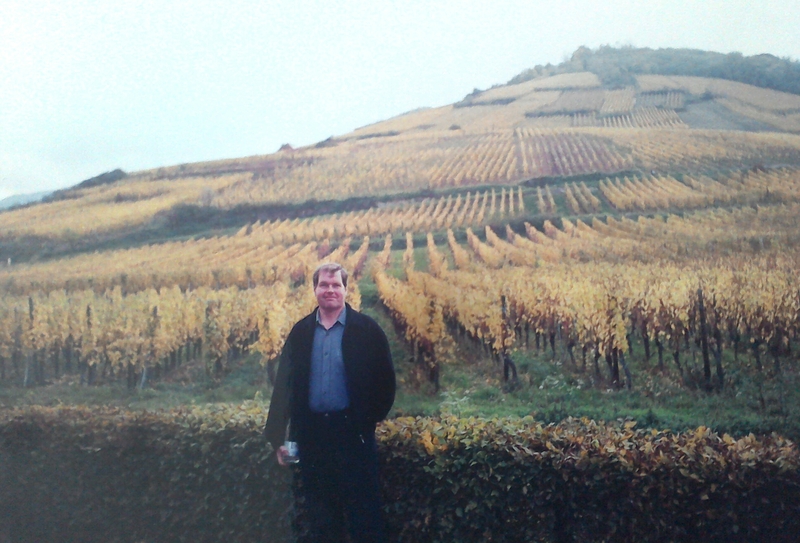 In Germany trockenbeerenauslese wines were offered and I even learned to pronounce it. Blind spots remained however, Italy and Spain in particular, much to my brother in laws’s disbelief. California too though a visit to the USA (South Dakota and Seattle) showed me that good wines were abundant there, and oh those ice wines in Canada! Lovely. 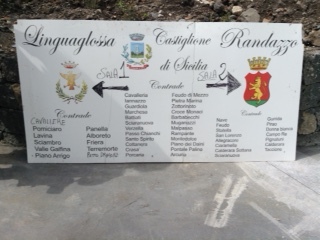 A trip to Sicily also opened my eyes to the possibilities of Italian wines, the Frappato grape and Etna wines were revelations. 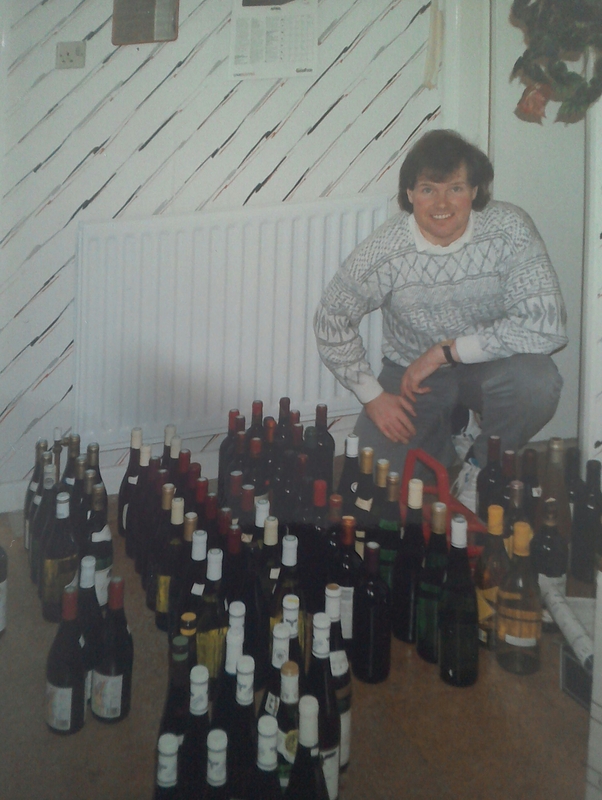 Well 30 years of wine drinking brought joys and disappointments, bargains and rip offs. Memorable bottles, glasses and also corked wines, a whole case of expensive Chablis was one painful low. 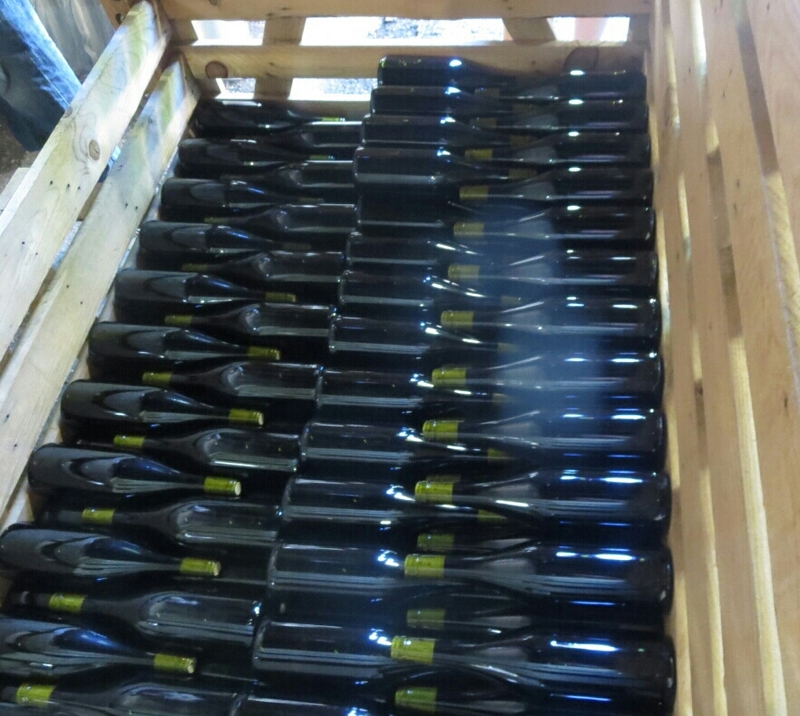 A hundred bottles stored away has turned into five hundred. And then with age the question, when will I drink it? Why buy expensive en primeur which won’t be at its best until I’m too feeble to drink it or indeed incapable of drinking it. Tentative steps further south in France in the last decade. The Languedoc. Rosemary George was my guide through her book and blog to discovering the well priced and under rated wines of the region. Wines which offered pleasure but also, from many producers, complexity. A chance visit to Puimisson and Mas Coutelou as that was the domaine Rosemary wrote about when I was in the area. The expected half hour visit turned into three and a half hours. Even after visiting hundreds of vineyards and cellars I was flabbergasted. 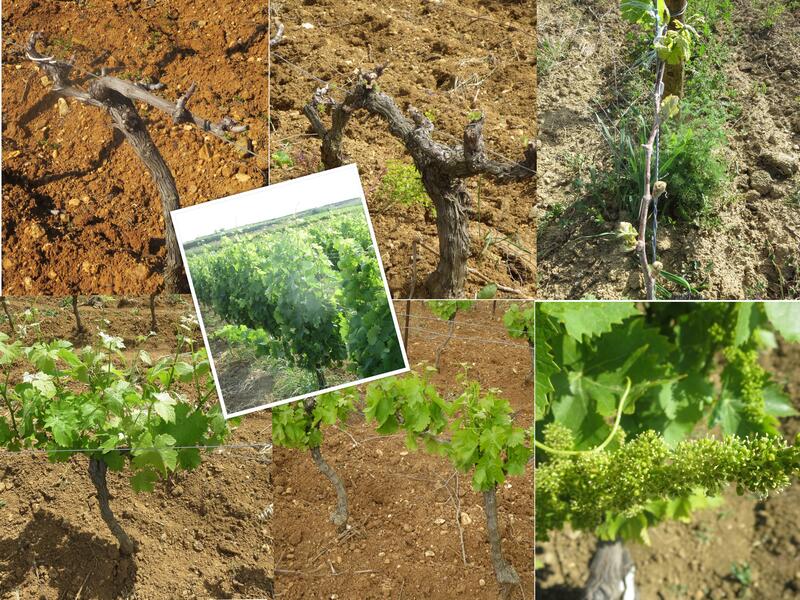 Vineyards without chemicals, wines without sulphur, a solera! In Puimisson?? All true. Above all a generous, passionate man and generous friend who happens to be a great winemaker. 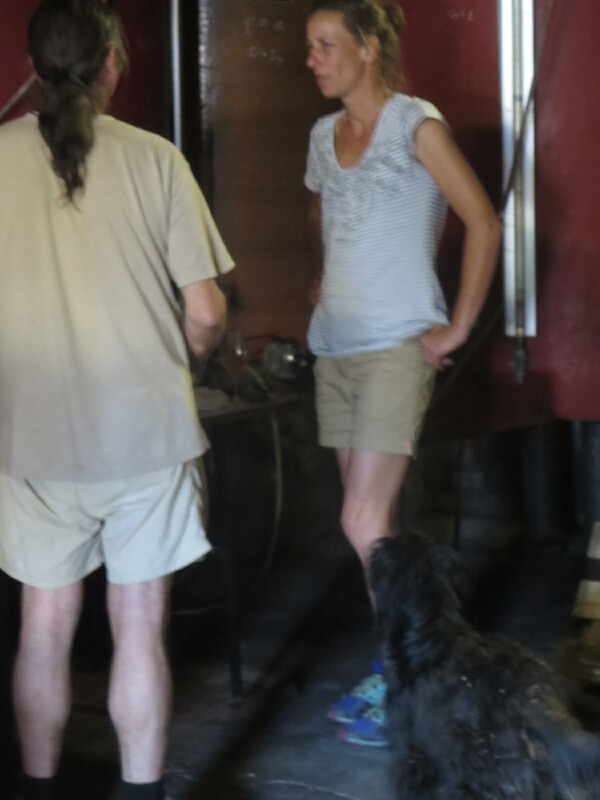 And a teacher about the vineyards and winemaking who encouraged my interest and deepens my understanding and who agreed to being the focus of a blog to keep me busy. Le Vin Des Amis indeed. Retirement, the chance to spend a year, indeed more, in this fabulous region. Learning, living. Categories: General, Tasting, Vines, Wines | Tags: Bacharach, Champagnon, Cloudy Bay, d'Angludet, Dagueneau, Etna, Foreau, Fouquet, Frappato, Huet, Hugh Johnson, La Lagune, Mas Coutelou, Oddbins, Oz Clarke, Penfolds, Rosemary George, Schaetzel, The Wine Society, Vouvray, wine, Wyndhams | Permalink. In recent months I have been honoured to be asked to take part in a number of wine tastings. 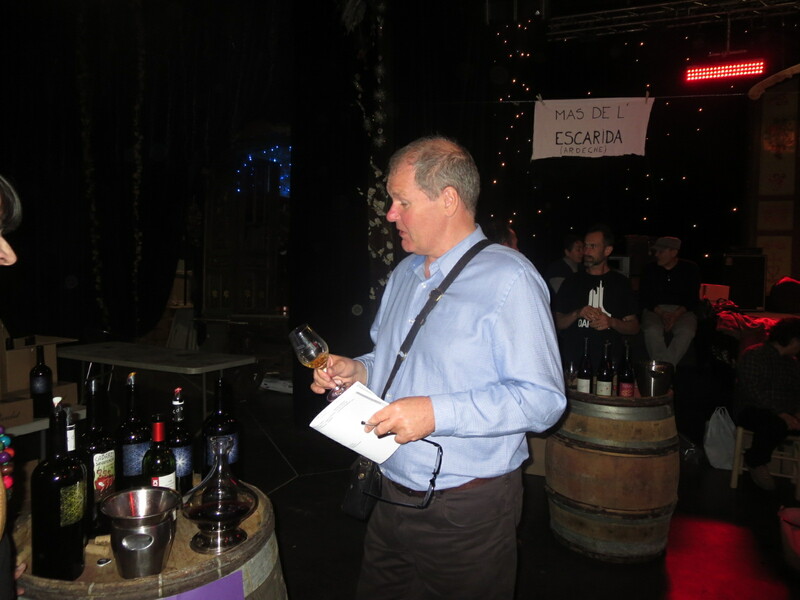 Mostly these were regular tastings of wines where the producers present some of their cuvées and the tasters choose which stands to visit and to taste at. 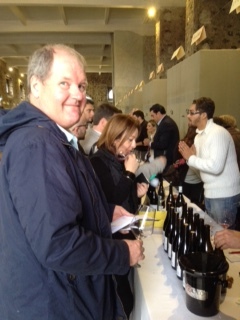 It is good to chat to the producer to try to get some idea of how they work and some background to the wines. Of course there are drawbacks, if you don’t like the wine then you have to choose how to respond. I have seen some people simply walk away without comment but personally I tend to be diplomatic and utter bland statements such as “Interesting”. Alternatively, I may ask questions to avoid making a comment before thanking the producer and moving on. I am always wary of how much I have drunk at such events and I think it is important to remember that wine is an alcoholic drink with consequences. 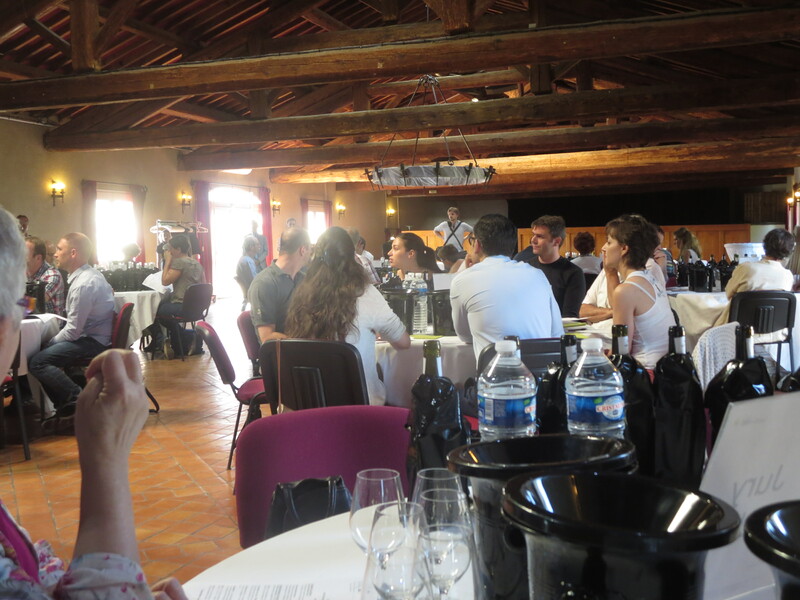 At a recent event in St Saturnin I tasted around 60 wines, spitting of course. This was a paid for tasting and as well as the glass the organisers provided a bag which included an alcotest, a breathalyser. I decided to try mine after the tasting and was surprised to see that it measured only around half the drink driving limit of 50mg per 100 millilitres. Not that I was driving back to Margon I hasten to add. Even spitting wine after tasting it absorbs alcohol into the body. I had expected it to produce a higher reading but was unprepared to drive with even that amount. At other events I have tasted many more wines, up to 450 in one day at Millésime Bio in January (where I used the tram to get back to the hotel). The question people ask is how can I taste the wines properly after even a quarter of that number? 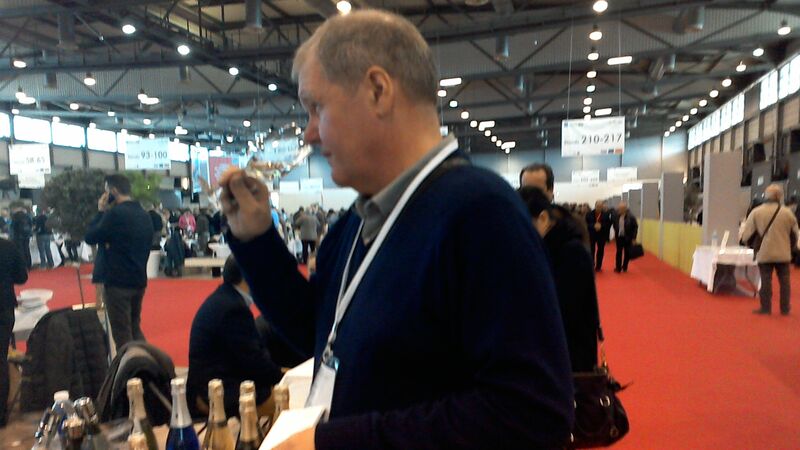 In years gone by I attended big tastings in London and Edinburgh for example and I remember palate fatigue setting in. I tried strategies such as whites first, then sparkling wines to refresh and finally reds but I often found that I quickly tired of the reds even after short breaks. These days I have become more used to larger tastings and my palate is more trained. I can’t argue that my tasting ability will be diminished but I do feel able to assess wines reasonably well for much longer than I used to do. A different problem which does affect that ability is that of getting used to wine styles. Tasting a lot of Languedoc reds for example I do begin to expect certain flavours and styles and so look for them rather than treating each wine on its own merits. Indeed, if a different sort of wine is then presented, eg a dessert wine or a different grape variety, the change is often very welcome and so the risk is of giving it more credit than perhaps it deserves. I was also asked to taste series of wines for Guide Hachette, an enjoyable experience and definitely an honour. 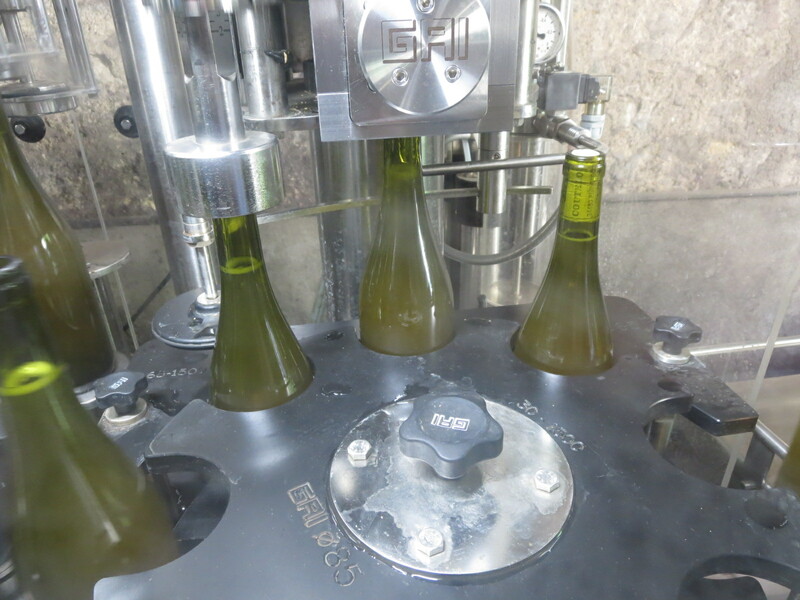 These tastings are carried out blind, the wines wrapped in covers so that the tasters cannot see the name of the producer to avoid conflicted interest or bias. Divided into groups of four we then compared notes after writing copious notes on appearance, aromas and taste as well as thoughts on possible food matches, and an overall judgement and mark out of 5. Happily the tasters were usually fairly consistent in their assessment of the wines, the training and experience of the jurors came to the fore. I was relieved that my marks were in line too! Even then the fact that the vintage and grape variety was given, so some level of expectation and prejudgement is in evidence. Overall though I felt reasonably confident that the marking was fair. 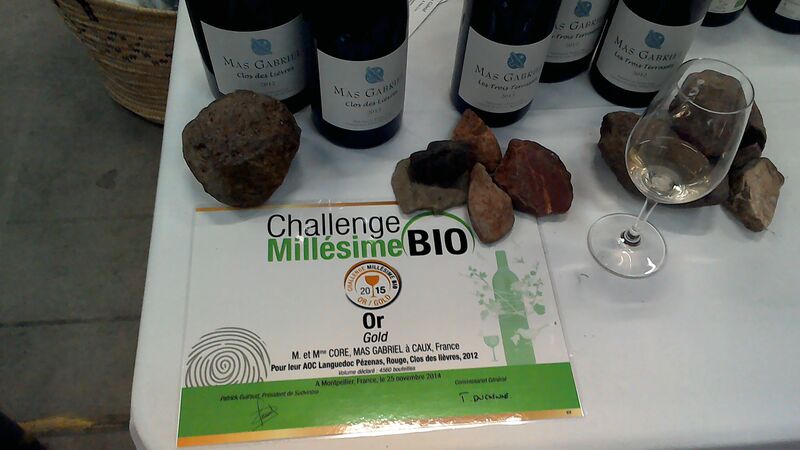 Then last month I was asked to judge at a competition for Sudvinbio, organic Languedoc wines. 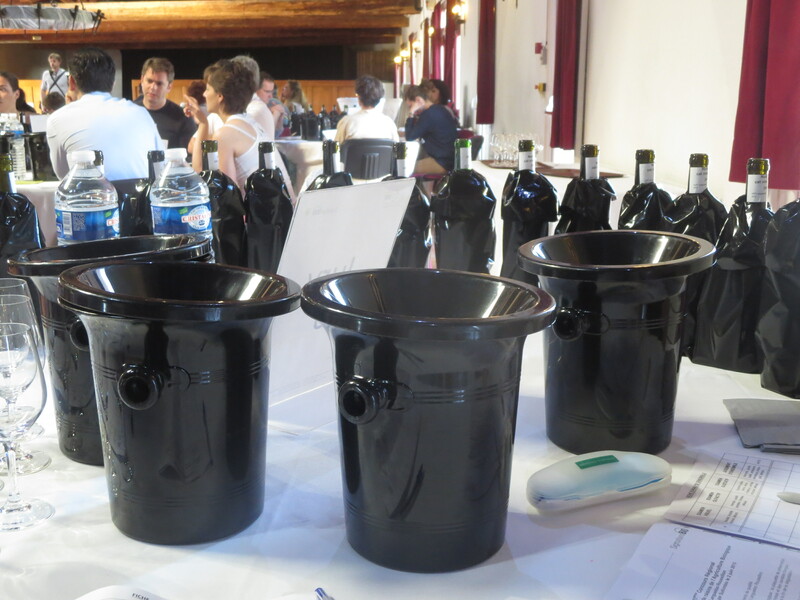 I was on a jury of older vintages of Languedoc red wines. Again the mix of vigneron, oenologue, journalist, sommelier and blogger (ie me) were fairly much in agreement. Three wines stood out and deserved some recognition. However, we had been asked to award 4 medals which I did find a little odd. How can you decide in advance how many medals should be awarded? In the end a 4th wine was given a medal, but this was much more disputed with some liking it, others (including me) not liking it. I remain unconvinced by competitions though it again gave me some confidence of my own tasting ability. Tasting is a personal experience, what I like you may not and vice versa. Experience of tasting wine does help us to appreciate and, for want of a better word, judge wines. 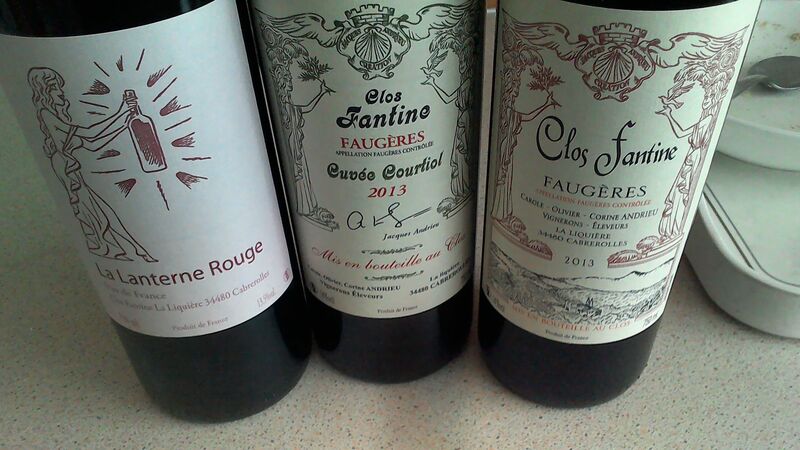 We do bring prejudices to tasting, for example I know that I find Merlot and, especially, Cabernet Franc difficult. There are all kinds of psychological and physiological factors which affect our ability to taste, from temperature to mood to patterns of tastebuds. Jamie Goode’s book ‘Wine Science’ has a fascinating chapter on the psychology of tasting, highlighting the work of Read Montague in Texas for example in showing how our prejudices can affect our taste. All I can do is build on my experience, try to be aware of my own prejudices and be honest about my assessments as snapshots of wines at a particular moment in time and to my taste. It is however, a most enjoyable databank of experience to compile. Thank you to all those who are helping me to do so. Meanwhile don’t forget to enjoy the art of the vigneron. 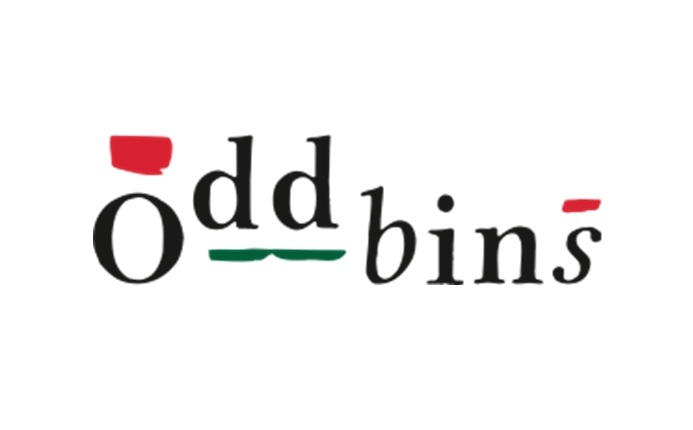 Categories: Tasting, Wines | Tags: dégustation, Hachette, Jamie Goode, Sudvinbio, Tasting | Permalink. I have visited hundreds of vineyards over the years but very few have stirred the same excitement and admiration as those of Clos Fantine, run by the Andrieu family of Corine, Carole and Olivier. With a helping hand from their New York importer Camille Rivière, who also imports Mas Coutelou wines, Corine asked me to visit on May 21st and I returned on June 11th. 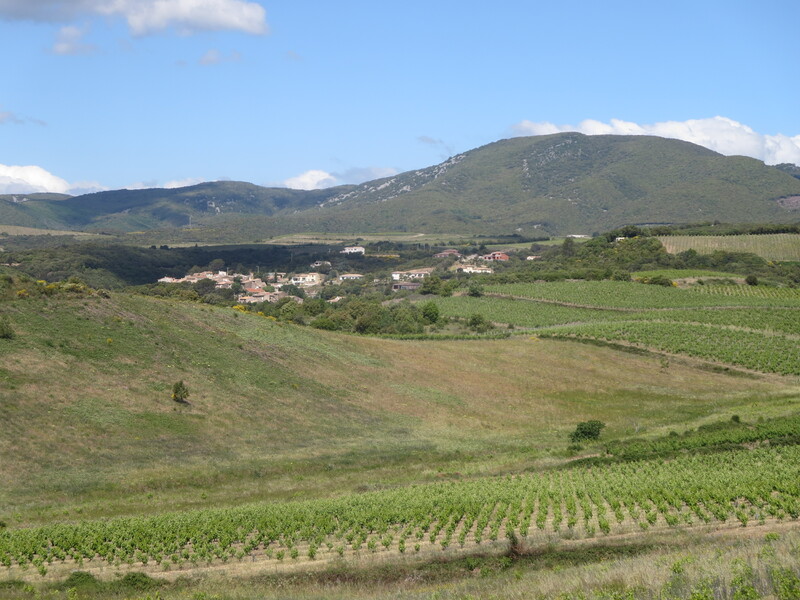 There are around 30ha of vines around their base in La Liquière high in the Faugères hills. The soil is schist, Corine told me of 3 types, grey, blue and pink. 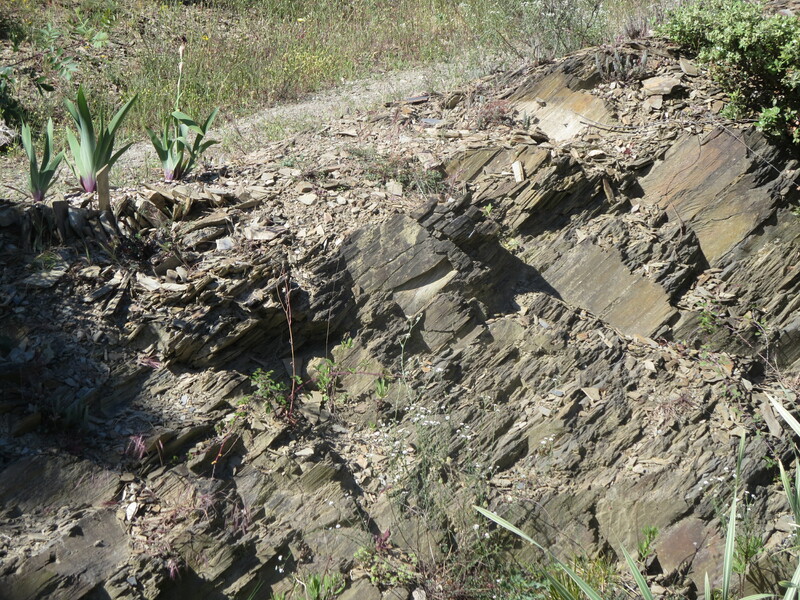 This slaty soil makes it difficult for vines to send their roots down into the bedrock as it ends to lie horizontally, so they must seek fissures and faults for their roots to penetrate as the topsoil is meagre. This undoubtedly adds to the qualities of freshness and energy which mark so many of the best Faugères wines and certainly those of Clos Fantine. Corine explained that they do not try to fight this natural acidity but rather they work with nature, a philosophy which is fundamental to every aspect of the domaine. Nature rules, the Andrieus guide it perhaps. As we drove around the vineyards with their stunning setting there was a true feeling of well being. 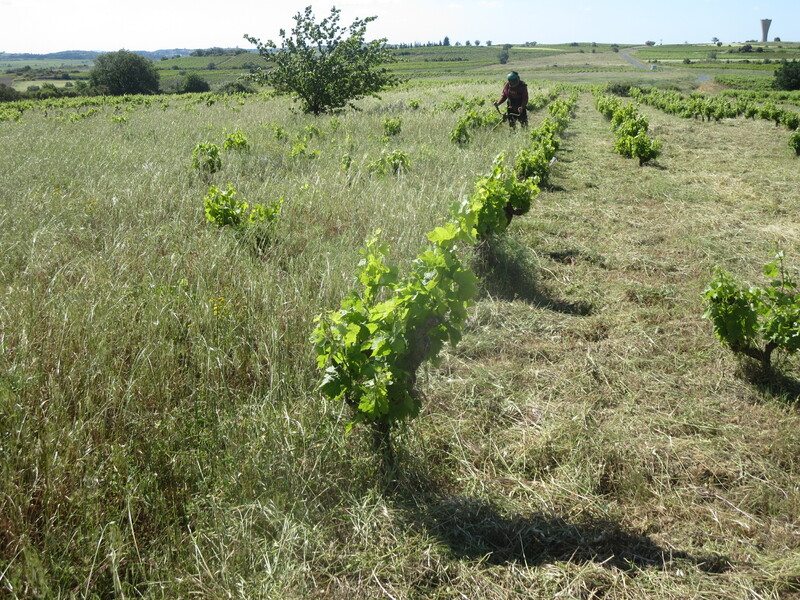 We met Olivier who was hard at work in one parcel strimming grass between the vines. 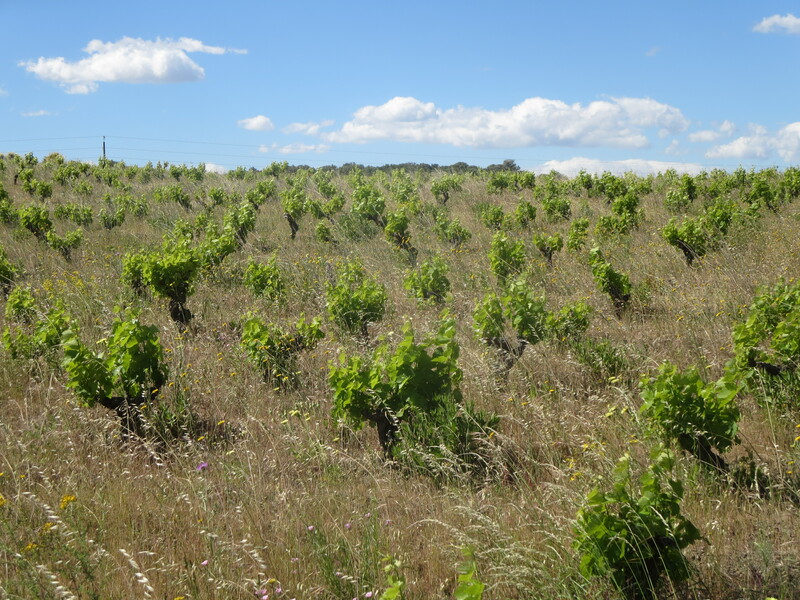 The Andrieus do not plough the soil as they feel that this upsets the balance of it, and that the hot Languedoc sunshine and strong winds would dry the soil out too much if ploughed, leading to erosion of the already thin topsoils. Sunshine is not a problem in the region, water is and by not ploughing the family also help to preserve the water in the soil. Grass, flowers and other plants grow naturally and when the grass is fully grown and starts to seed they strim it to add organic matter to the soils and seed for the following year. 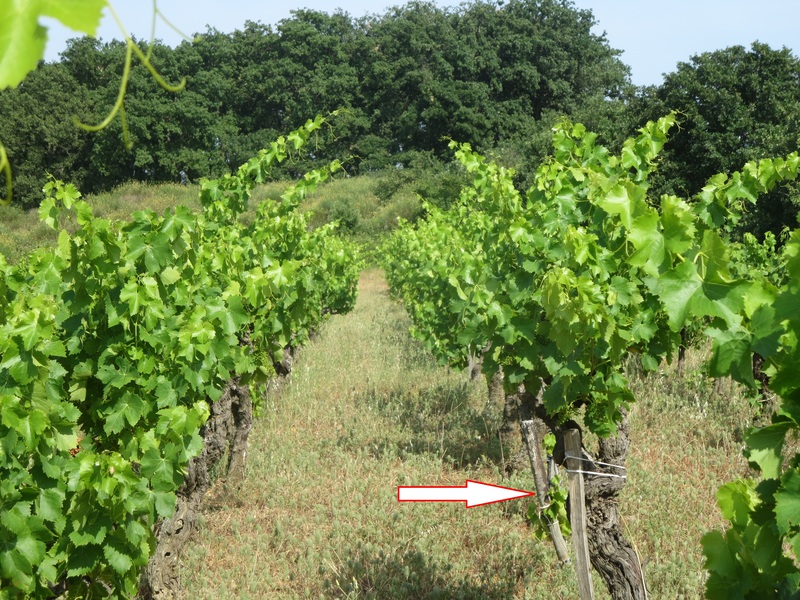 The grass also provides shelter for insects and spiders which in turn will help the vines by attacking grape parasites such as ver de la grappe. 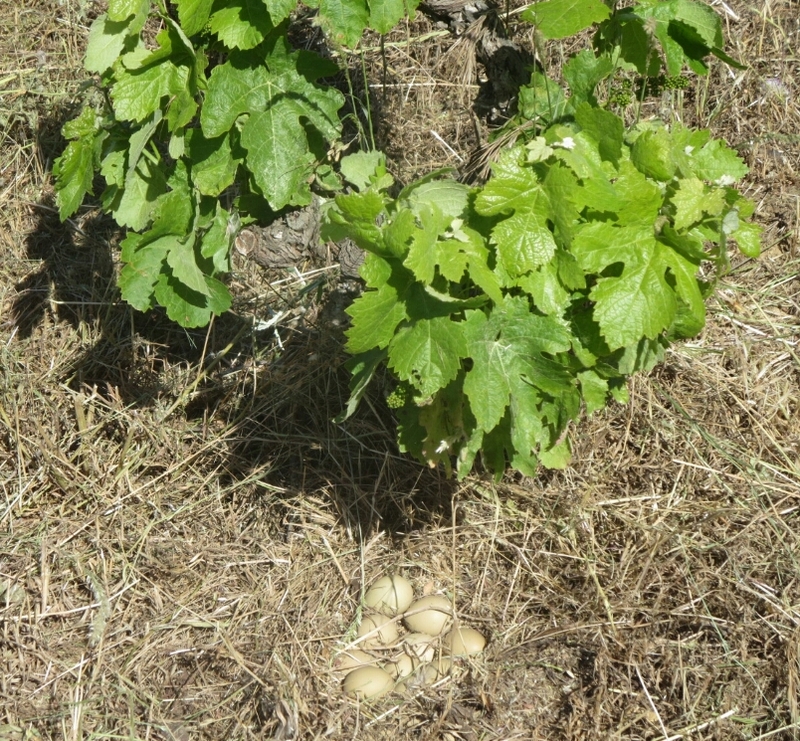 These are real living vineyards, illustrated by the discovery of two separate partridge nests, both filled with eggs, at the base of vines in that one parcel. Corine talked about how they see the land as between 3 stages, farm/grassland, garrigue and forest. 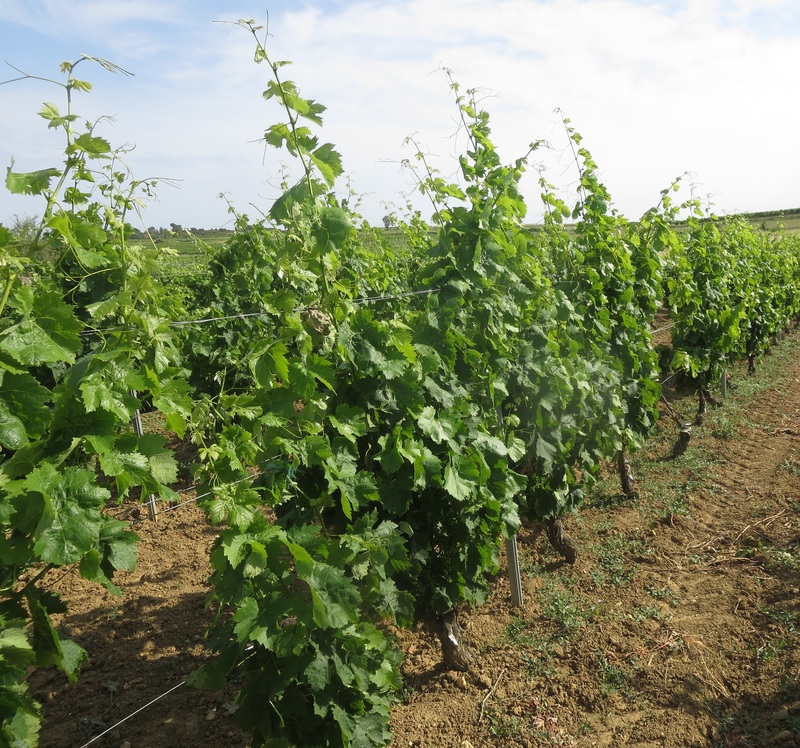 They are seeking to keep their vines on the edge between the first two stages so that the vines are having to work a little to compete with flora and fauna without being overstressed. Meanwhile, Olivier also spoke about keeping good quality air around the vines, eg allowing the air to circulate freely around the vines to keep disease at bay and also about using the flowers and grass. 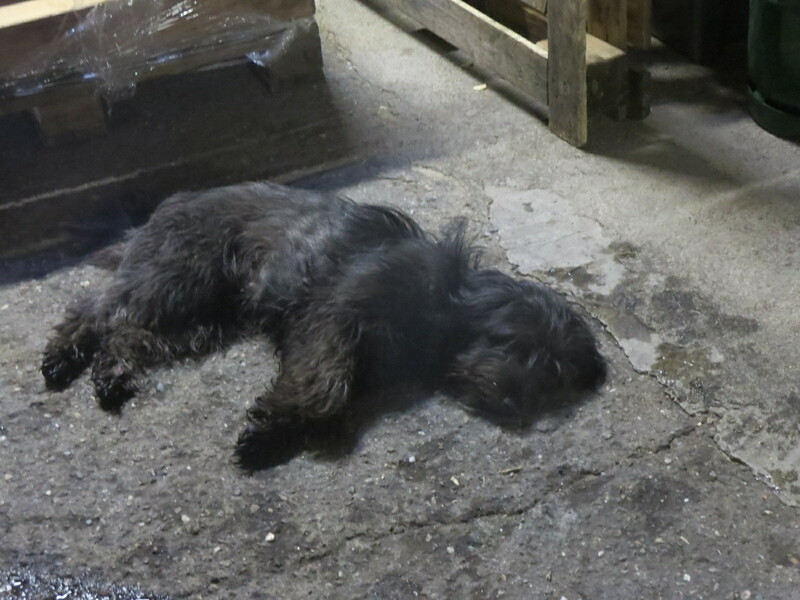 Disease, of course, is an issue at the domaine despite their hard work to minimise it. This is true of all vineyards. Mildew had hit when I was there in May, nothing too serious but a reminder that nature can also be cruel. Natural treatments available to them include the use of sulphur and copper which had been used for the first time in a few years. However, the vines were not in any danger, the mildew had been contained. 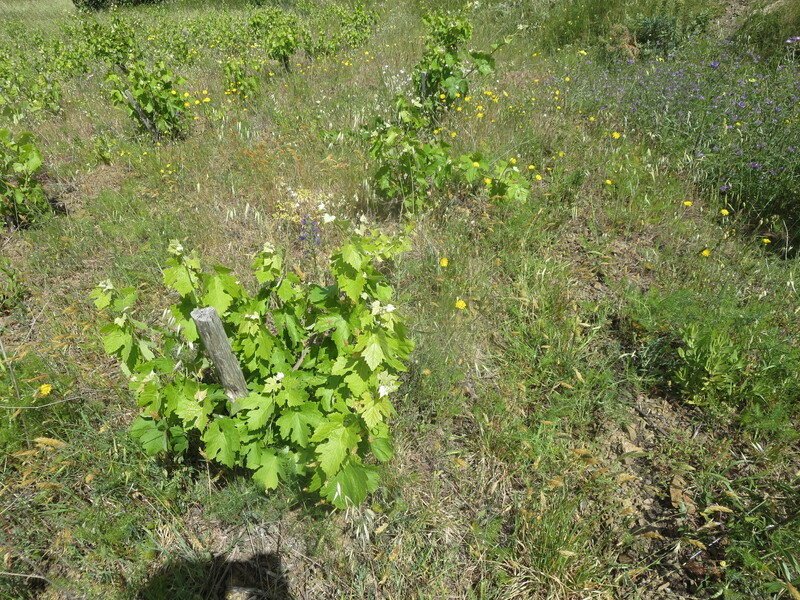 All the vines are gobelet, low to the ground. 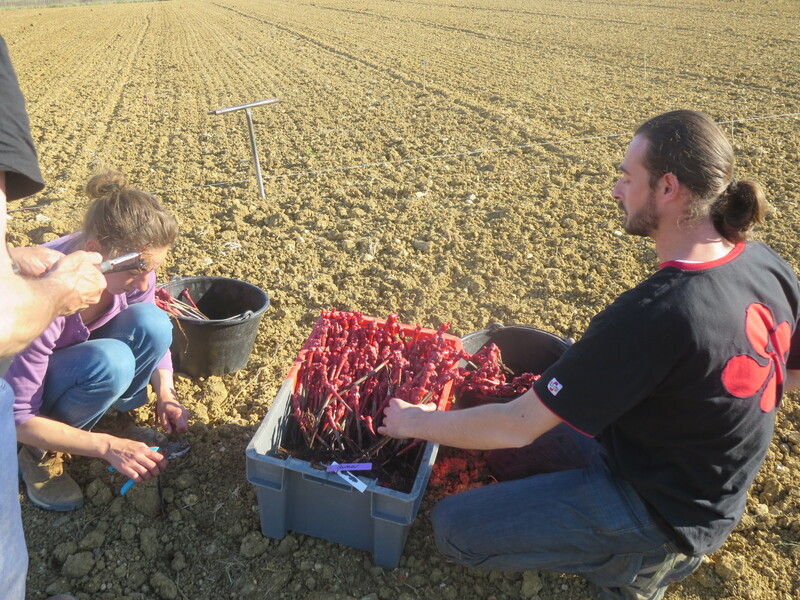 Corine described how they had recently bought a parcel of vines and their first action was to remove the palissage, the stakes and wires used to train the vines. The vines flopped and spread out as if relaxing, in Corine’s words, like a woman released from her corsets in Victorian times. 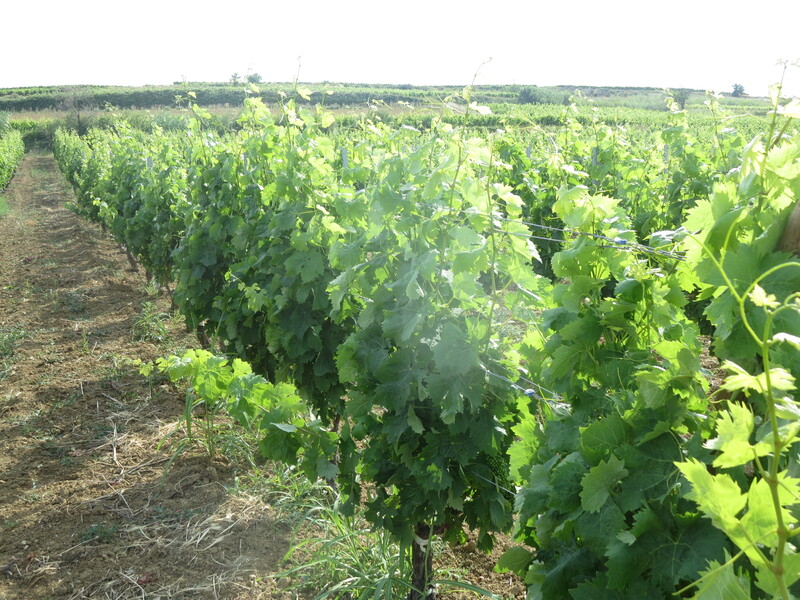 Gobelet is the traditional method of growing vines in the Languedoc. The bushy vines have plenty of foliage to shelter the grapes from the sun but also have space to fan out allowing the air inside to stop humidity and defend against disease. The gobelets did give the impression of a vineyard which could have been from any period of the last few centuries, ageless. Corine used the word ‘energy’ a lot whilst I was there. She was referring to the soils and the vineyards. The nurturing of the soil and the vines is about channelling the energy of nature into those vines and ultimately the grapes and the wines through their management of soil and air. However, energy also describes the work of Corine, Olivier and Carole. They are relentless in their quest to improve the vineyards and the wines. They read widely, for example Corine is an admirer of Jean Marie Pelt and his writings on plants and nature. 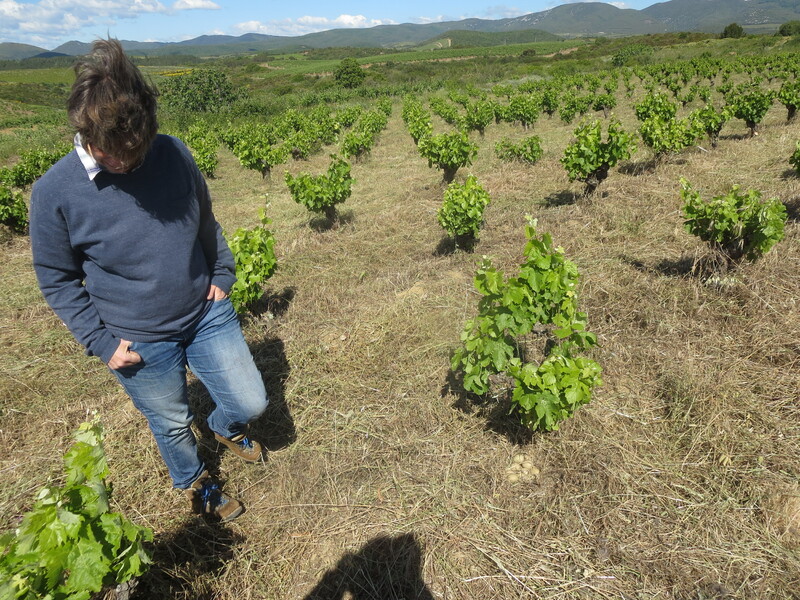 She quotes science, history and nature readily and compares her wines to others in the region but also to wines and vineyard practices from the rest of France and internationally. Corine seeks to learn from these and we talked about viticulture in Australia and Chile, as there are little things done there which might help to improve wines, “we may never be perfect but we can try to be the best we can be.” This awareness of learning and the outside world is more widespread than it used to be in France but I have not come across that many vignerons who are so keen to learn from various sources. At the start of this blog article I mentioned how happy and at ease I felt in the vineyards of Clos Fantine. The location, its touch of wildness and nature together with the philosophy of the Andrieus all rubbed off on me too. At that point a wagon arrived to collect some palletts of wine to take to Belgium. As the domaine is up a narrow road Corine was going to have to transport the wines using the forklift down to the wagon in the village. I was actually quite pleased as it gave me the opportunity to return a few weeks later to visit the cellars and to taste the wines. As a storm broke over La Liquière on June 11th it was a dramatic backdrop in which to return. 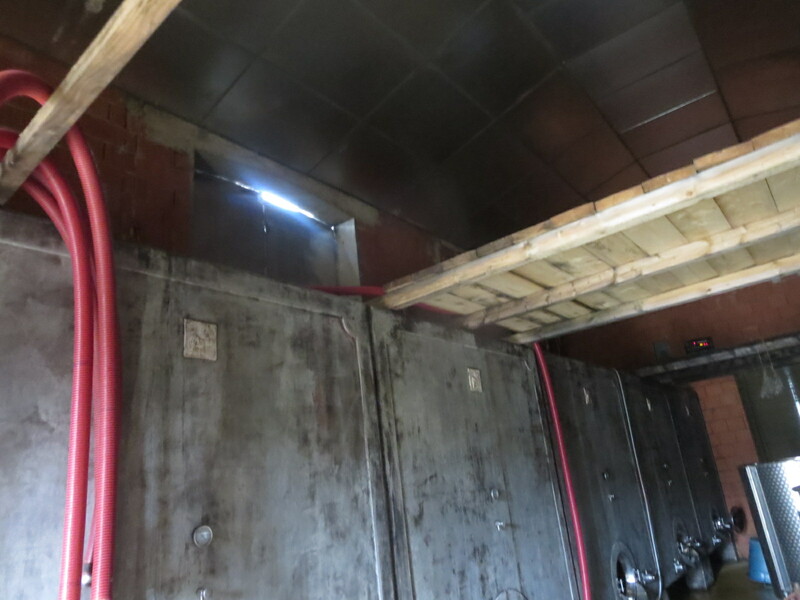 The cellar has been designed to allow the grapes to be moved by gravity rather than pumping after being harvested by hand and gathered in small cagettes. 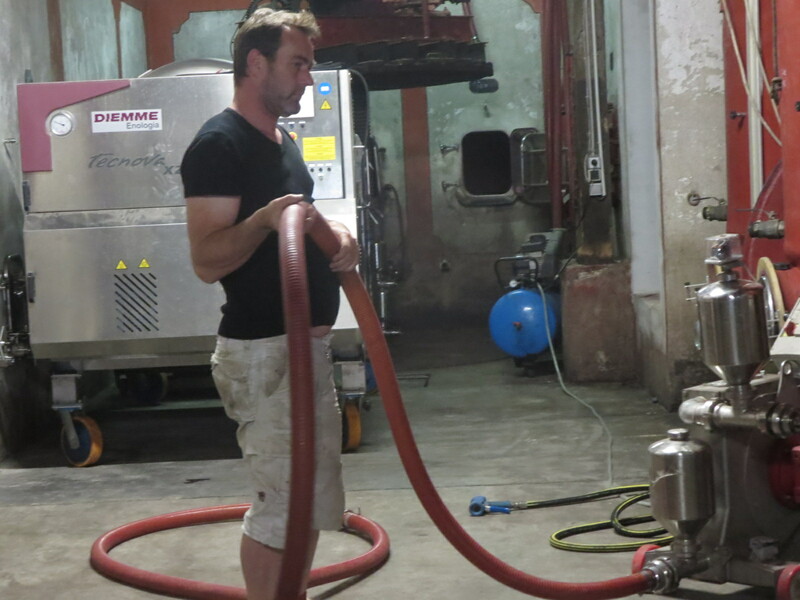 The cement vats we tasted from were full of single variety wines busy fermenting. 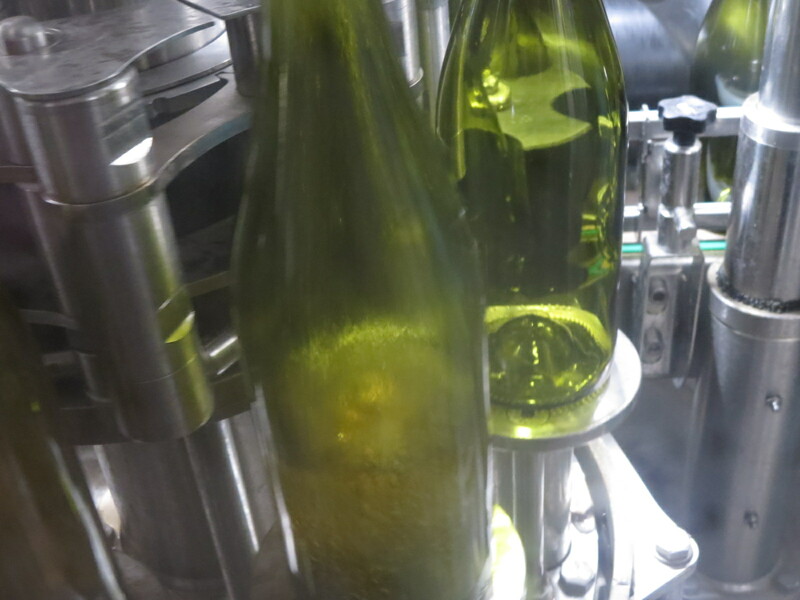 Corine uses no pigeage or remontage in the vats, something which was new to me, and as the weather cools down in autumn and winter the cellar doors are opened to allow the temperatures to drop and halt the fermentations naturally. These resume in spring as temperatures rise again. 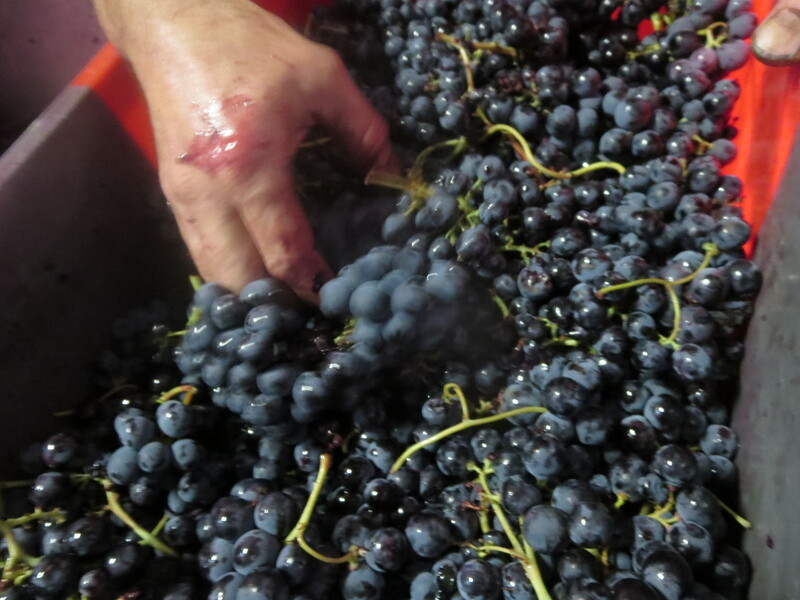 The result is a gentle, long and cool maceration with as little intervention as possible. 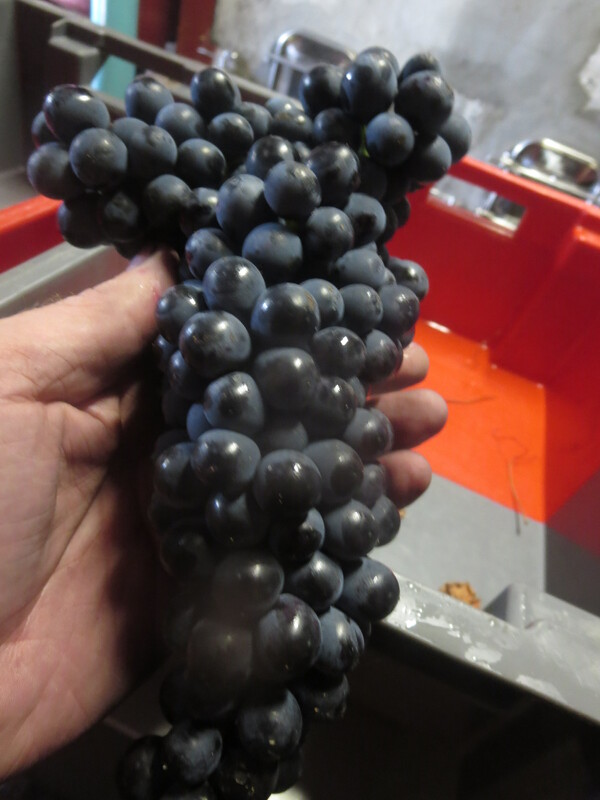 And the results… Well we tasted Carignan, Syrah, Grenache, Mourvèdre from the vats and each was clear, direct, mineral and oh so fresh with fruit singing out. They were also classic in their cépage typicity, it was relatively straightforward even for me to identify each one. They were excellent as was a Terret from a barrel which contained wines from a number of vintages, in other words in a solera type system. Complex, long, mineral and the slight oxidative notes were refreshing and interesting. We then retired to the kitchen and tasted from bottle. The Terret, Valcabrières, was a delight. Great depth of flavour with zesty refreshment and white fruits such as notes of pear. Long in the mouth it was delicious. Recently bottled it was already very good but will improve as it settles in bottle. Lanterne Rouge is Aramon and Cinsault, very much Languedoc varieties and a wine I have described on here a few times as it is a favourite with lively fruit aromas and a deceptively light first taste which grows more complex in the mouth. The Clos Fantine Tradition is mainly Carignan and Grenache and has real depth of dark fruit flavours and great complexity and a refreshing, clean finish. 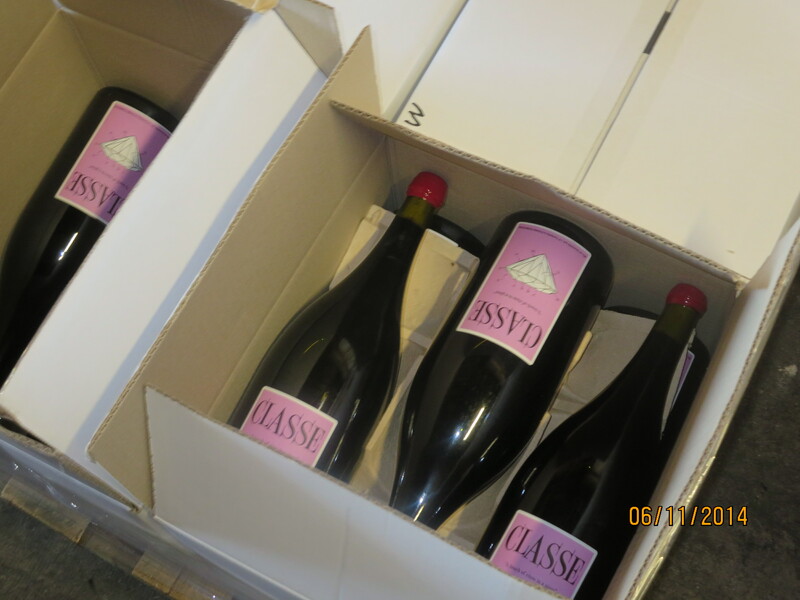 It is classic Languedoc red wine but with added zest and liveliness. 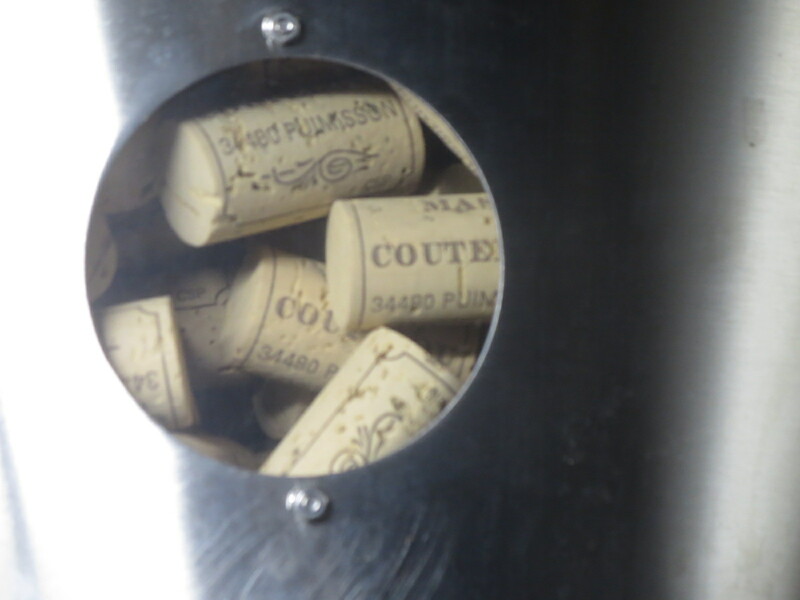 Finally Cuvée Courtiol is made from the best grapes of the millésime. Ripe, full and delicious with length and soft tannins that will marry into the wine with age. I really love these wines and when Corine said there was no obligation for me to buy any wines when I asked if I could, I hastened to reassure her that I felt no obligation, I wanted to buy some and will certainly want to do so again! 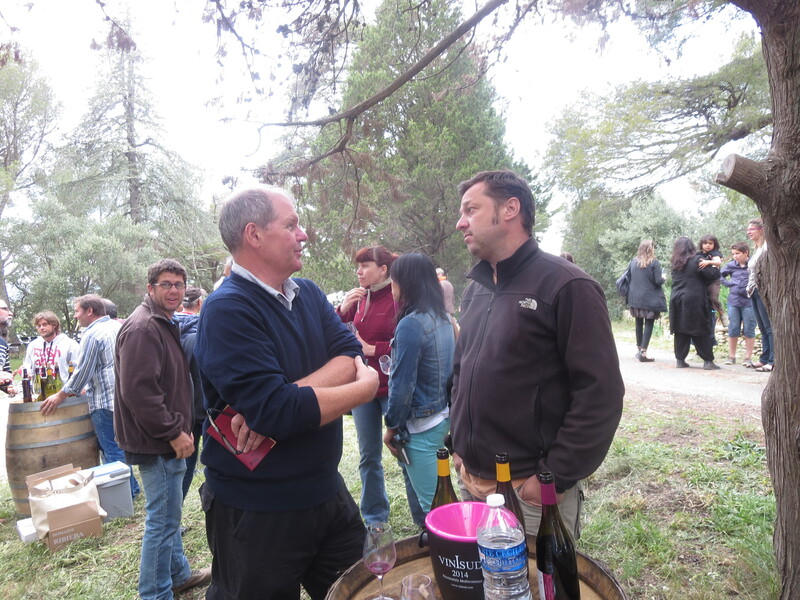 I learned so much in my time at Clos Fantine with the Andrieu family and I admire and respect their work, their philosophy, their passion for learning and nature and, of course, their wines. I implore you to seek out their wines and drink them. Categories: Vignerons, Vines, Wines | Tags: Andrieu, Camille Riviere, Clos Fantine, Cuvée Courtiol, Faugeres, gobelet, La Liquiere, Lanterne Rouge, Pelt, schist, sulphites, Tradition, Valcabrieres | Permalink. Time to head back to the UK for 3 weeks or so. Time to reflect on all that has happened since the dark, cold days of January. It has been wonderful to witness changes in seasons from almond blossom to irises to poppies to full bloom of flowers, fruits and, of course, vines. From the pruned sticks of January to the lush, verdant vines of June. Changes everywhere. 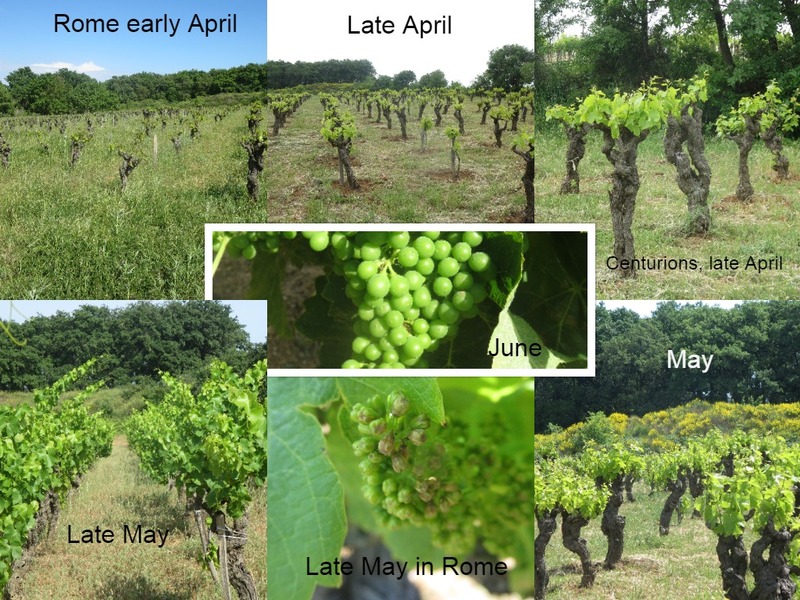 Let’s start in my favourite vineyard, Rome with photos from various months showing the gobelet vines I call the centurions in deference to their stature and location. 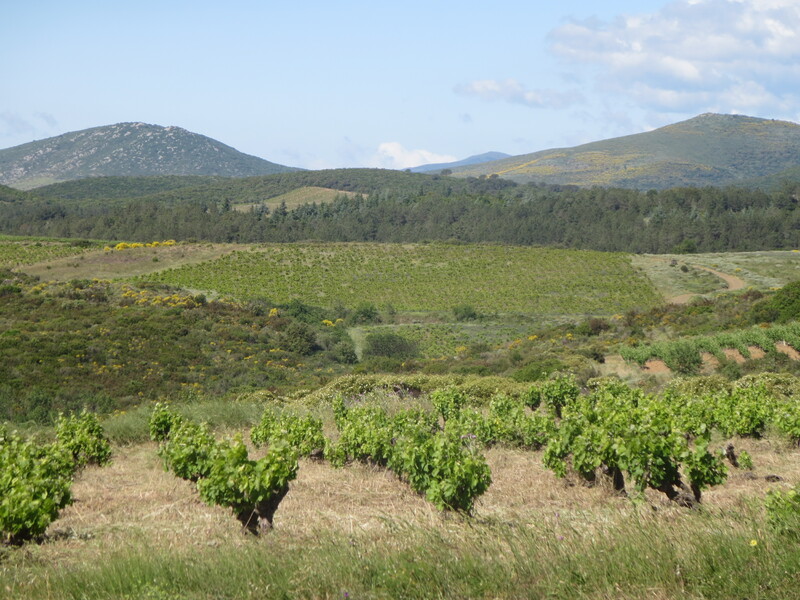 La Garrigue, a vineyard of Syrah and Grenache as well as white varieties is one I have watched closely as it was where I watched Carole and Jeff prune in January. Read this collage left to right on both rows before the full growth in the centre. So what has changed in the grapes? 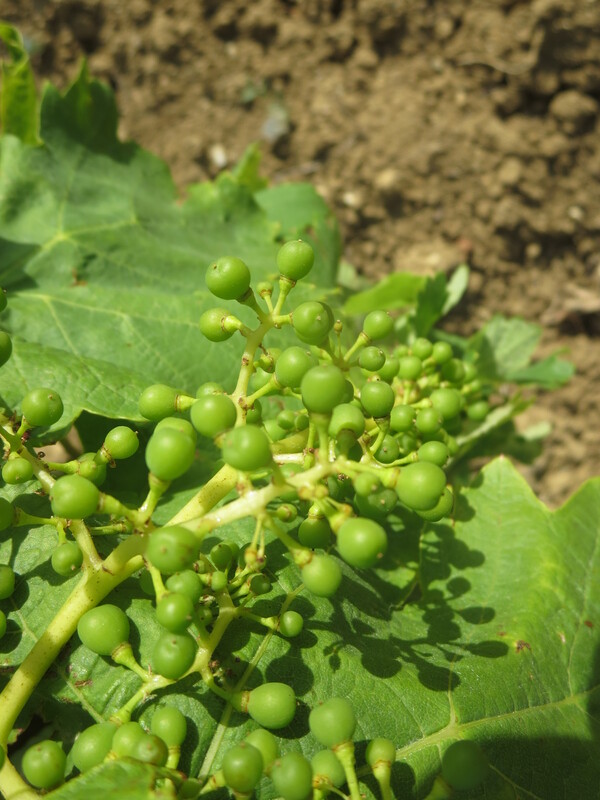 The grapes are starting to form their seeds which will gradually harden (nouaison). 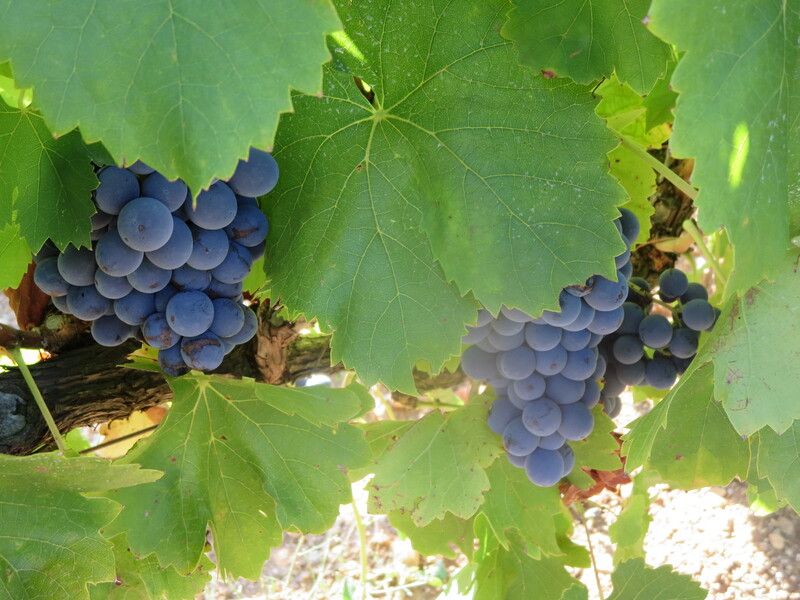 When I return here in July the black grapes will start to change colour (véraison). Can’t wait to see it. Categories: Vines | Tags: étaillage, bourgeons, boutons, fleuraison, grappes, nouaison, véraison | Permalink. After weeks of sunny and hot weather storms have hit the region in the last few days. 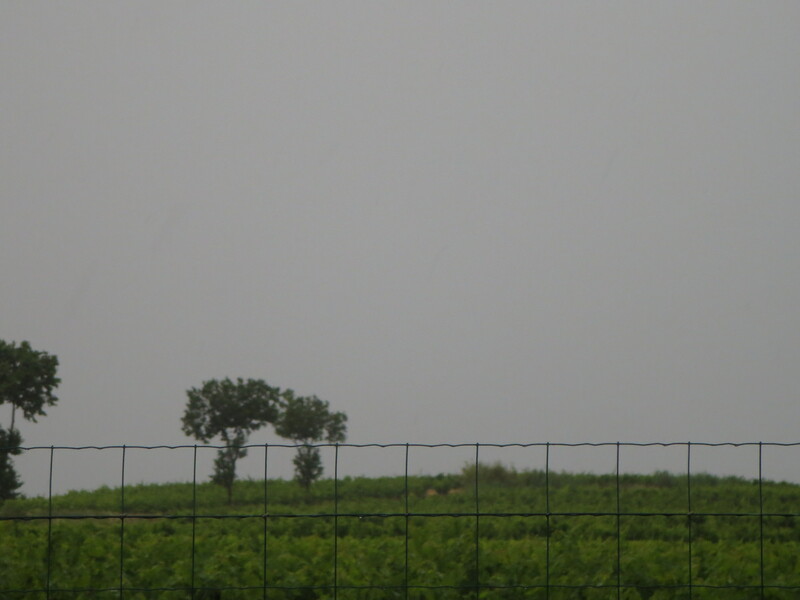 Monday (June 8th) saw the first and hail hit Faugères nearby damaging some vines at Domaine Sylva Plana for example. 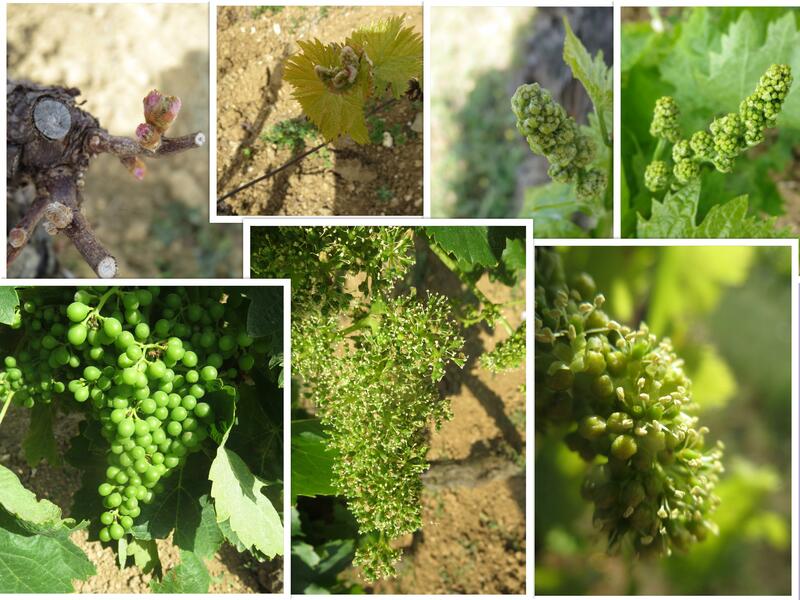 Hail is a nightmare for vignerons, it can strip the vines of leaves and budding grapes at this stage of the year. Today (June 12th) the storms are back with lots of heavy rain. The water is welcome, the long weeks of sunshine and high winds have dried out the soils. Steady rain would be better but water will help the vines and reduce stress. However, if the rain turns to hail then disaster strikes. The vines have had a hard time in the last year or so, a dry winter and spring in 2014 certainly reduced yields as the vines were stressed. The mildew and oidium which arrived in early May added to their problems. I also mentioned that coulure hit Mas Coutelou as the high winds damaged the delicate flowers. 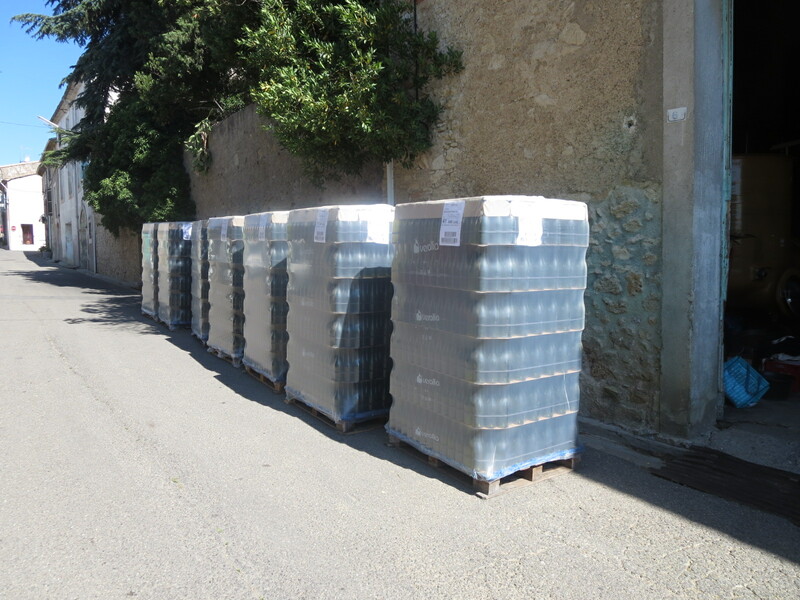 Sadly the problem is widespread across cépages and vineyards. Jeff estimates that it could reduce yields this year by up to 30% compared to an average year and that after reduced yields in 2014. 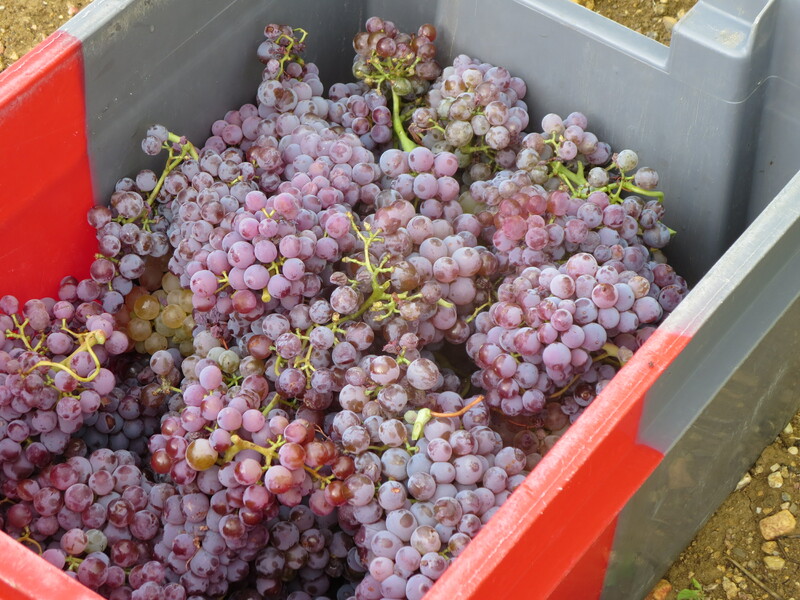 Jeff already announced that certain cuvées would not appear from the 2014 harvest, it looks as if that will be repeated in 2015. 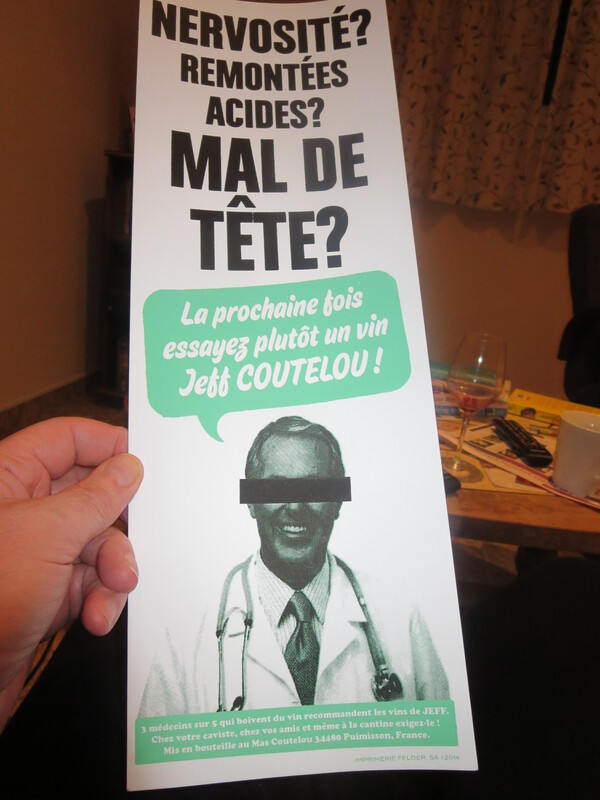 Bad for those of us who love Coutelou wine but mostly for Jeff himself. 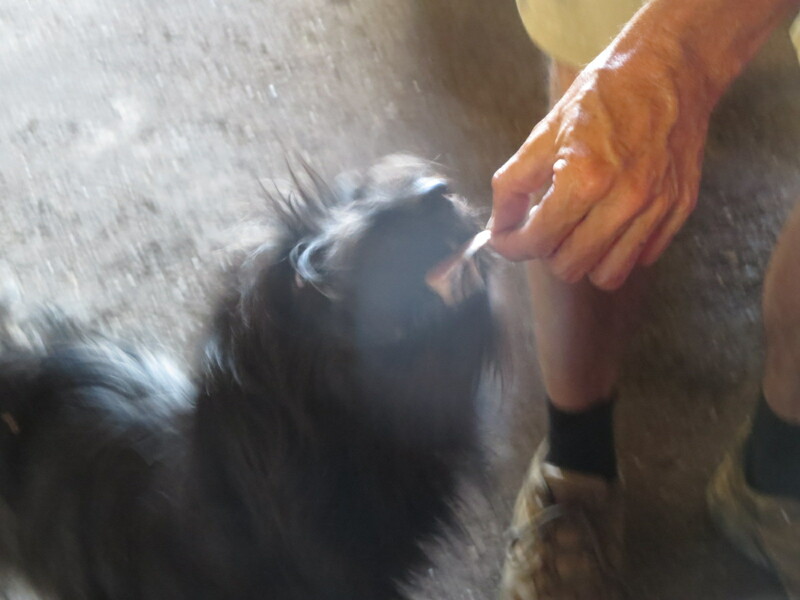 The storms and rains also bring humidity so mildiou will undoubtedly be a threat again. Treatments will be needed. 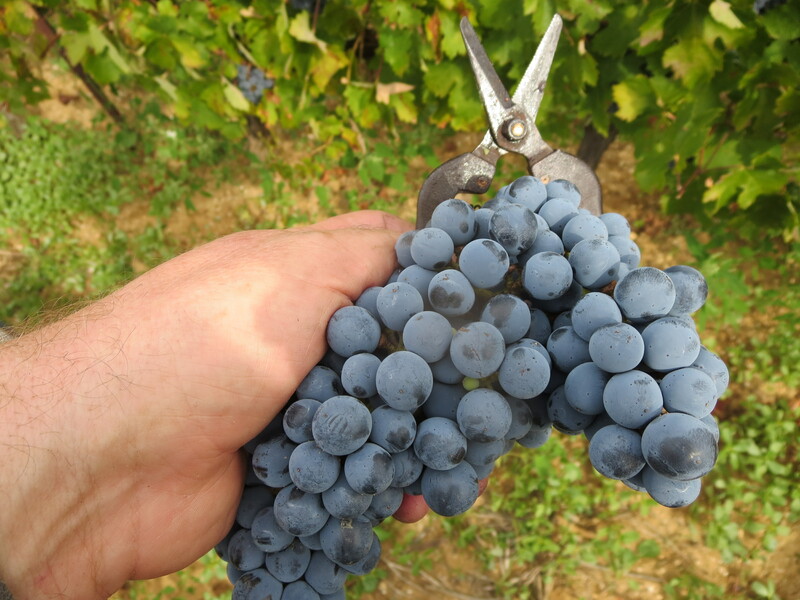 Some vignerons in the area, and certainly in cooler regions, will be pruning and cutting back the lush growth of vines. This allows more air to circulate and therefore hopefully reduce the risk of mildiou. 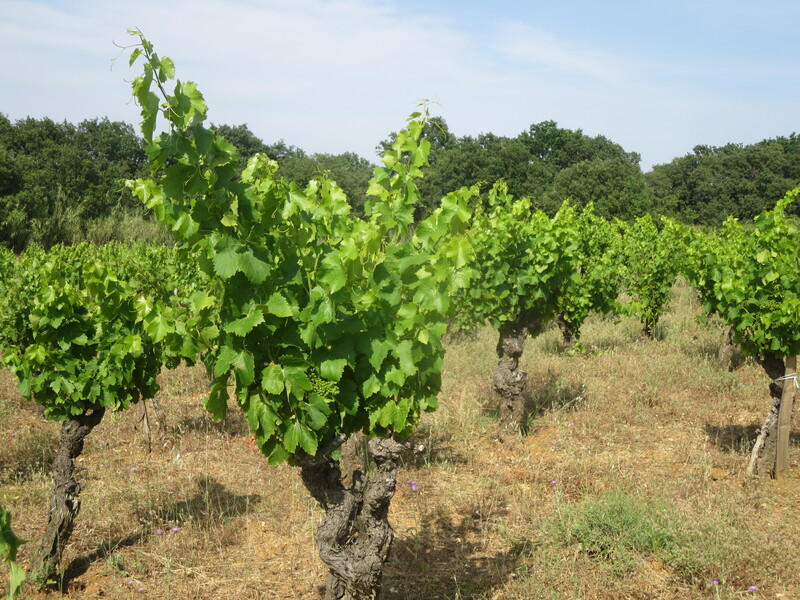 In the Languedoc, heat and sunshine is more common and the grapes will need protection from the direct sun so Jeff prefers not to cut back the main growth, the frequent winds will allow air to circulate naturally without it. However, some particularly vigorous branches will be cut. The other main vineyard task will be to remove the gourmands, the buds and branches which grow directly on the bottom part of the vine trunk. These simply use up the vines’ energy. Finally the palissage wires need to be tightened as they have heavier vines to support. The vine branches can grow between 10cm and 15cm per day at present. 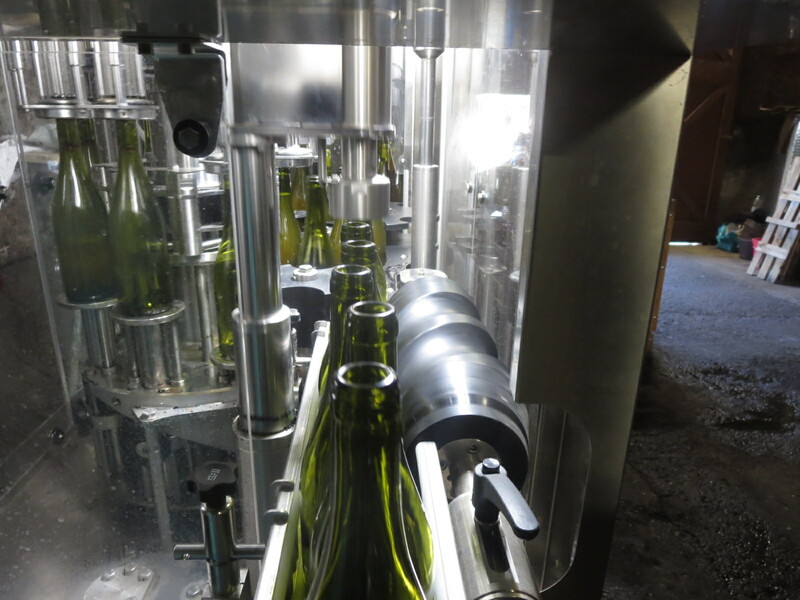 Meanwhile bottling, tidying, cleaning and alterations are happening in the cellars and wine salons/tastings have to be attended to sell the wines that remain (not so many this year). 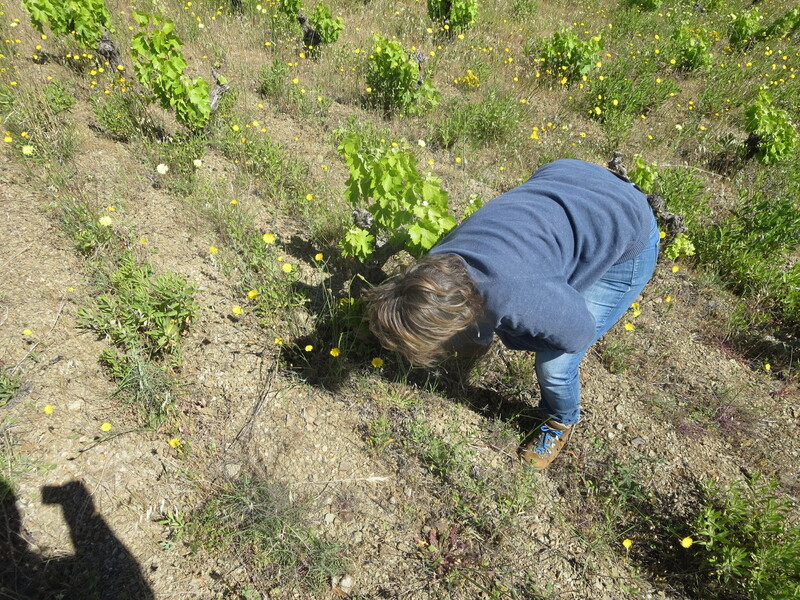 The vignerons must be as vigorous as their vines. 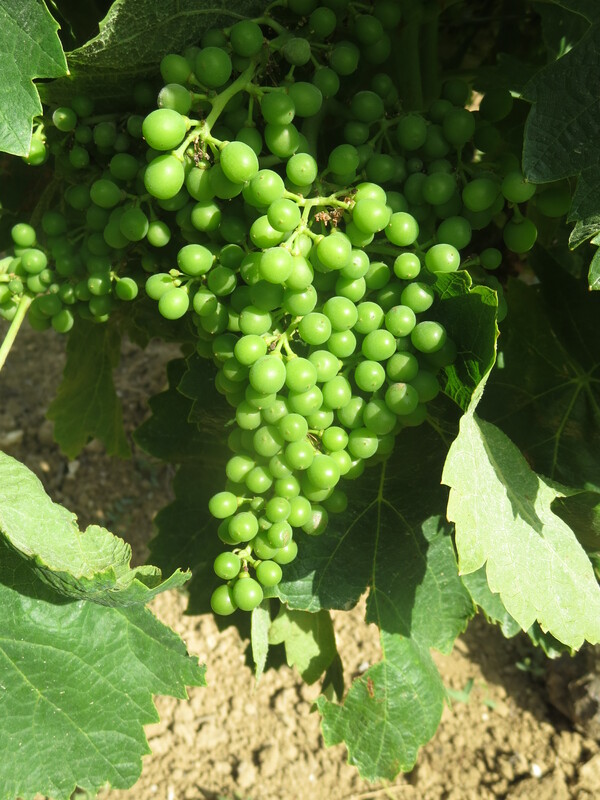 Let’s hope that the stormy weather passes without further damage and that nature helps the vines for the rest of this summer allowing them to produce as well as they can in 2015 and to recover and become stronger for 2016. 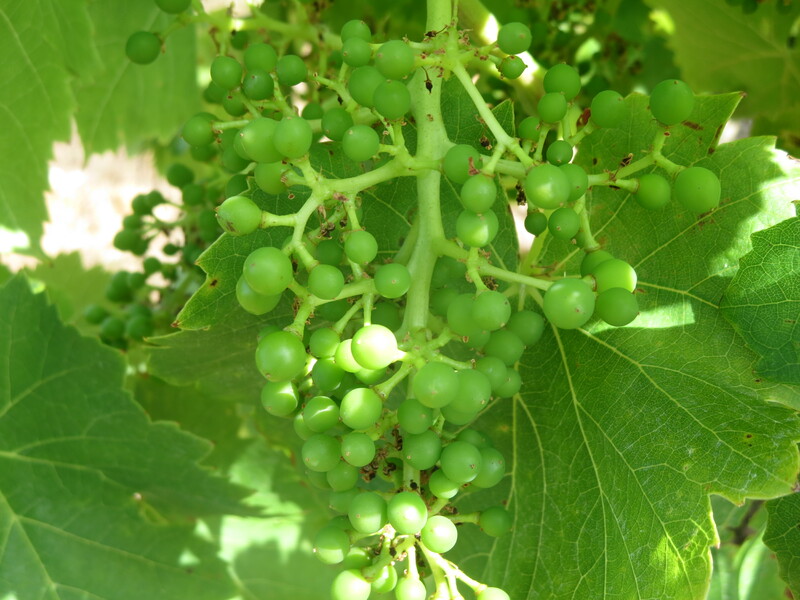 Categories: Vignerons, Vines | Tags: coulure, gourmand, hail, mildiou, oidium | Permalink. A short addendum to the post about the problems of disease. 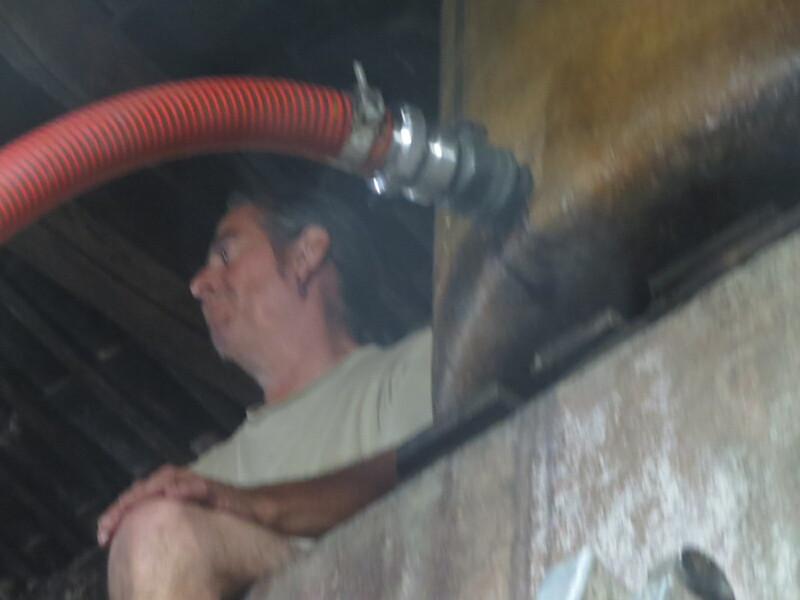 Recently when talking to a visitor to his cellar Jeff was asked about using sulphur. His answer is worth repeating. He said that treating vines is like when you have a cold. You start by using cold remedies, hot lemon, tisanes etc and it’s the same with vines. You treat them with the tisanes of horsetail, nettles and ferns. However, sometimes the cold can become more serious and you have to seek help from a doctor with more drastic treatments. So too sulphur is the dramatic, interventionist treatment. You’d rather not have to use it but if needs must. It remains a natural treatment at least.